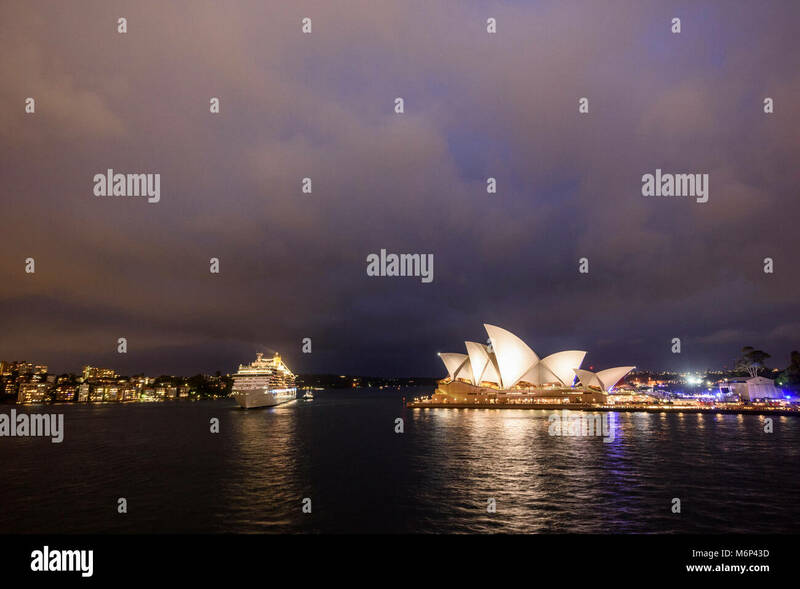 Sydney Harbour with illuminated cruise ship and Sydney Opera House at dusk under stormy sky. 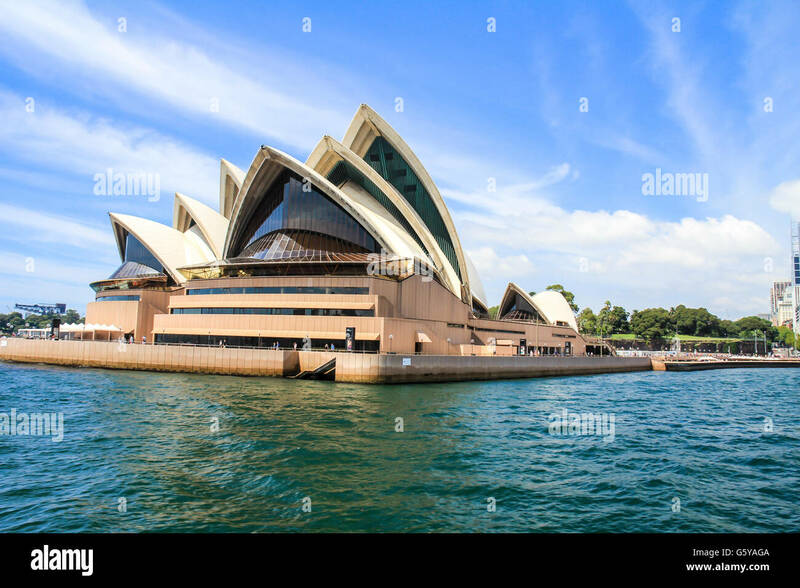 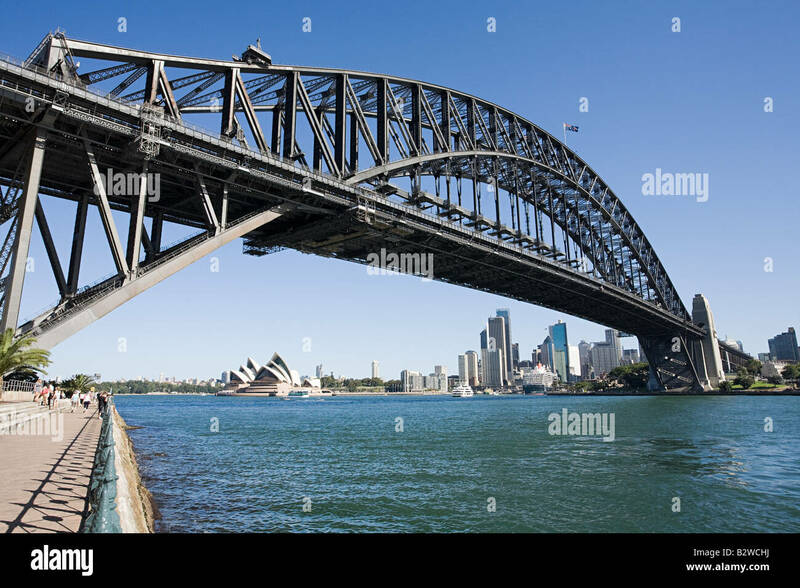 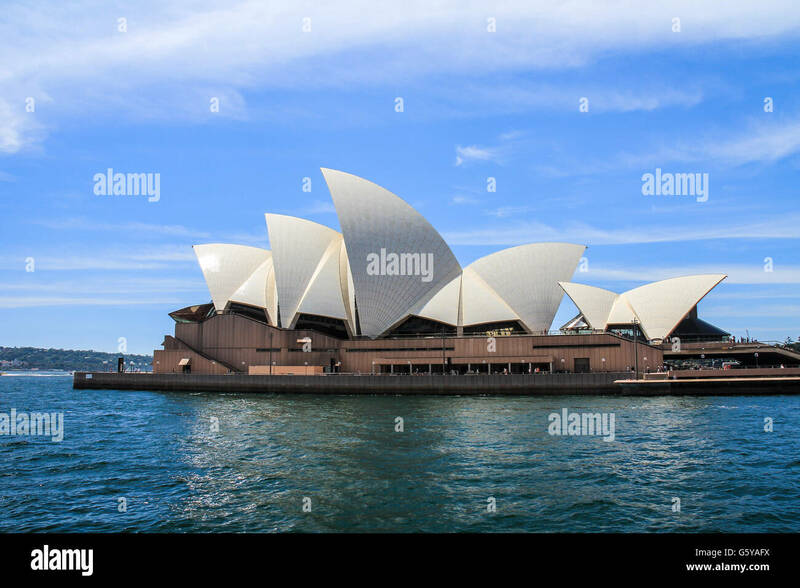 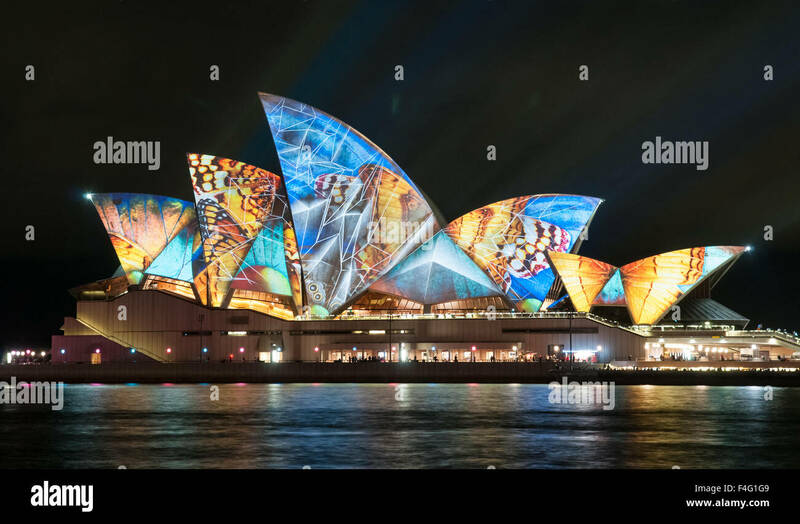 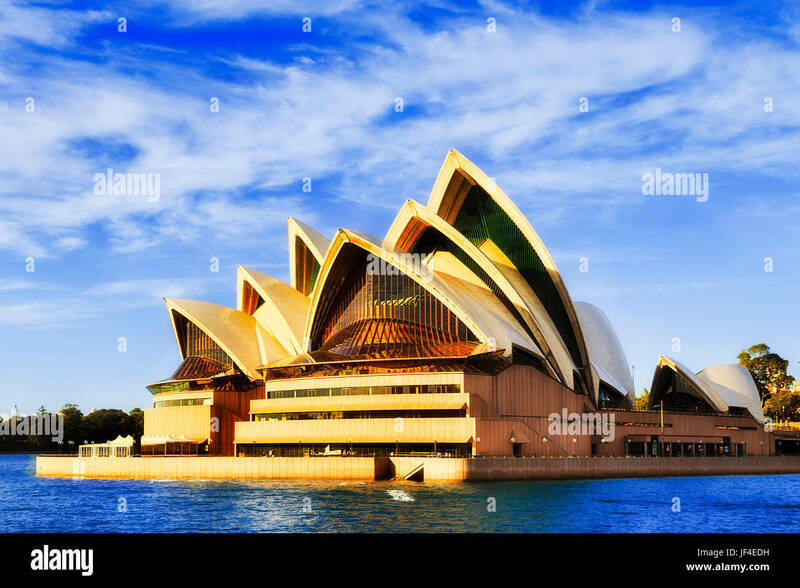 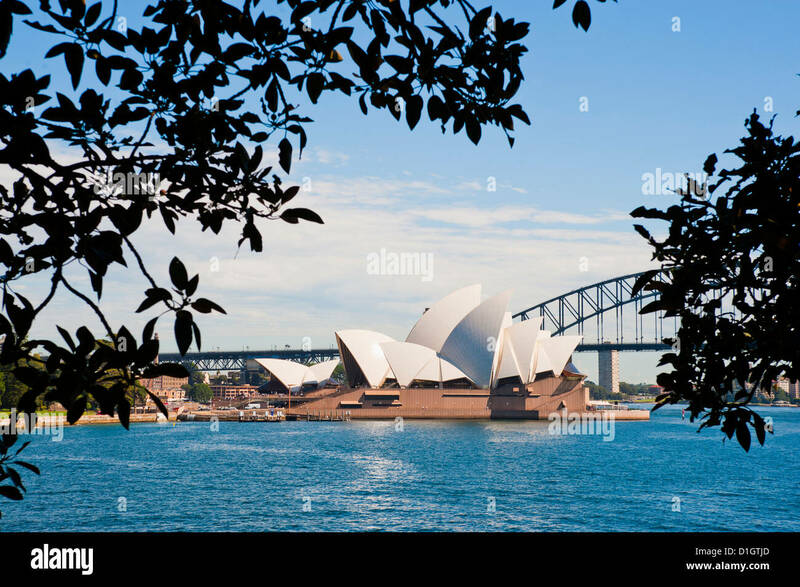 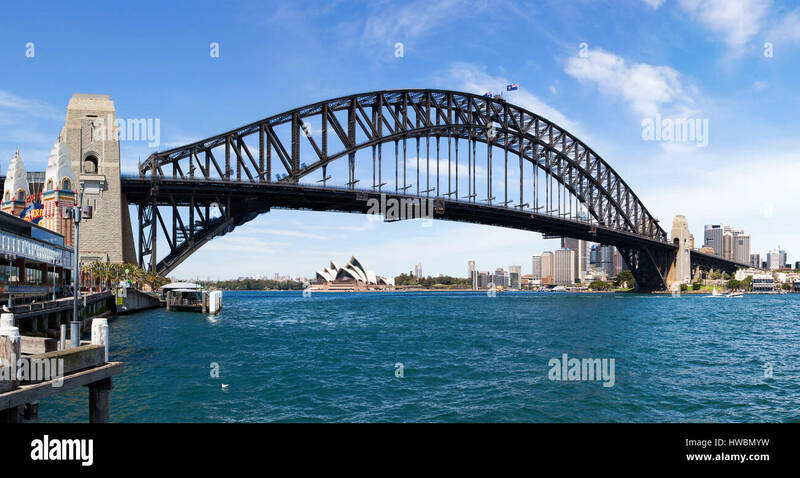 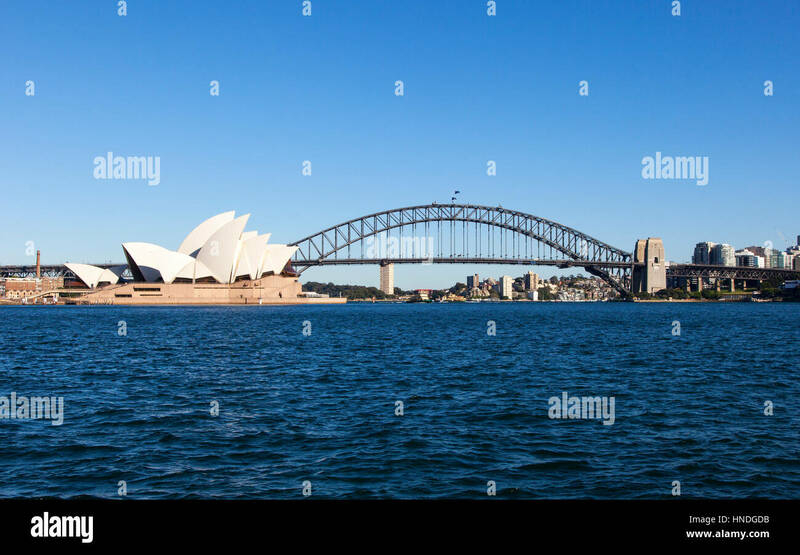 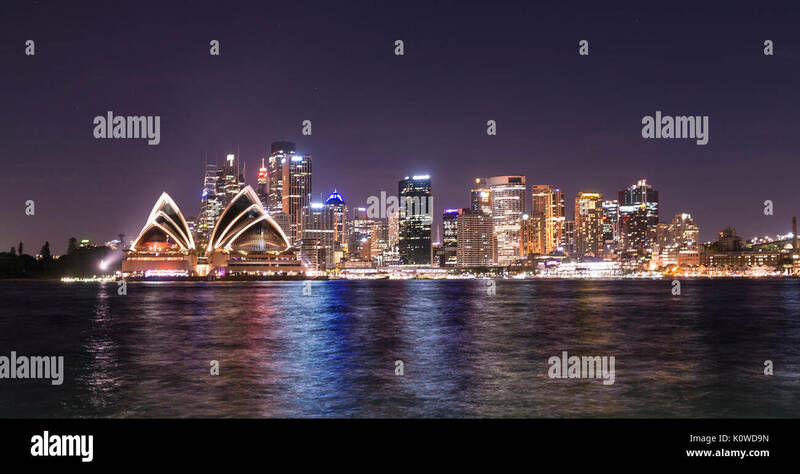 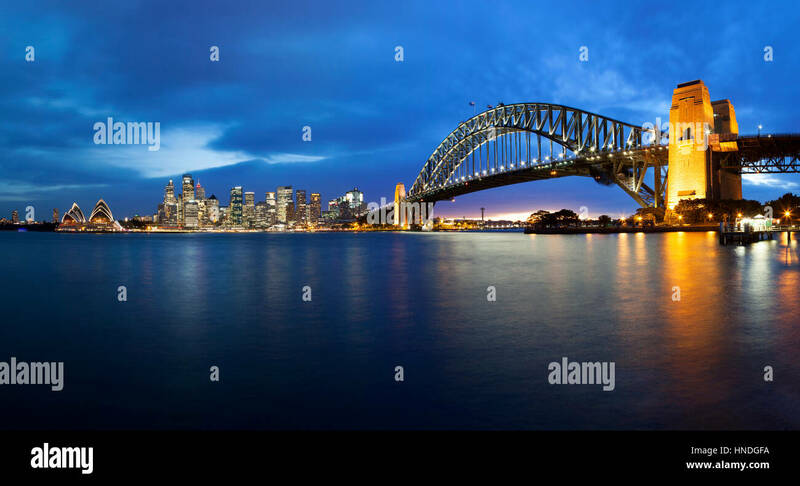 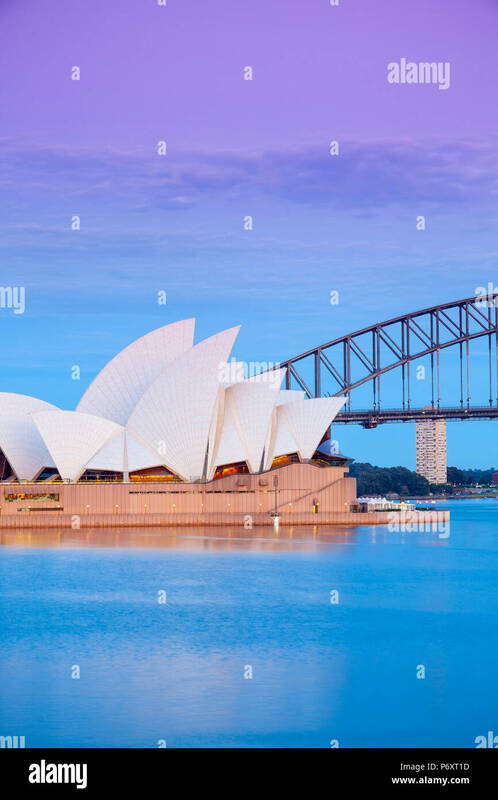 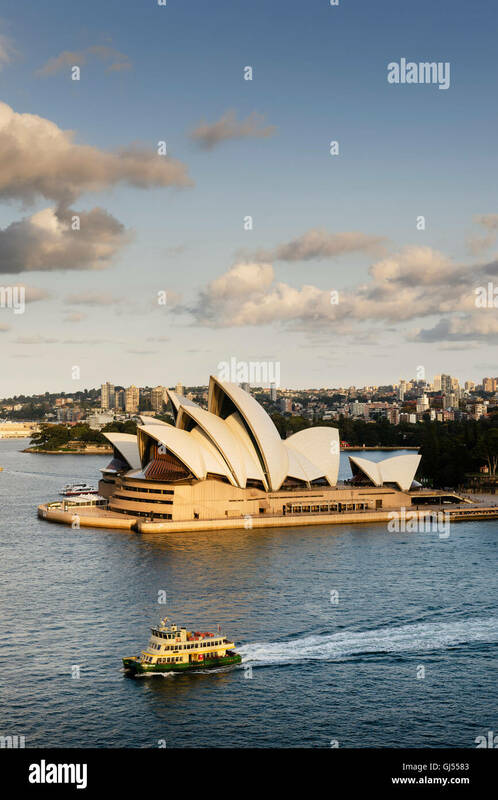 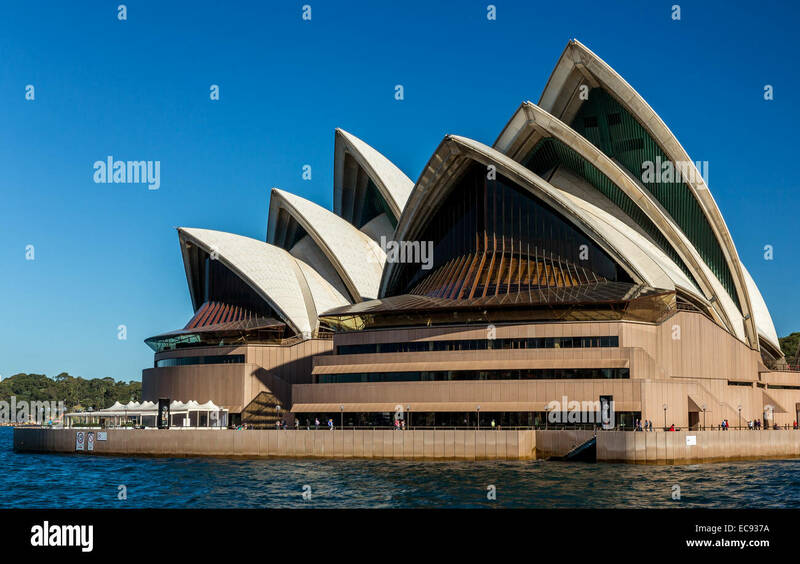 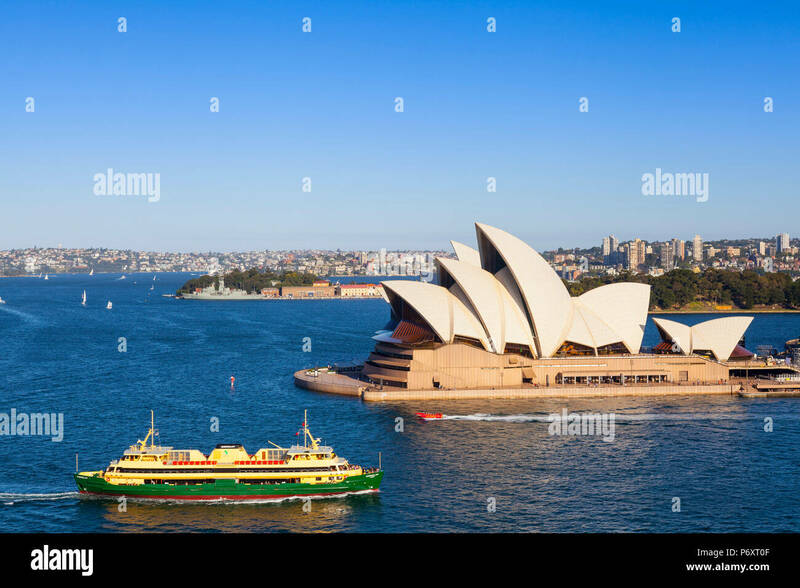 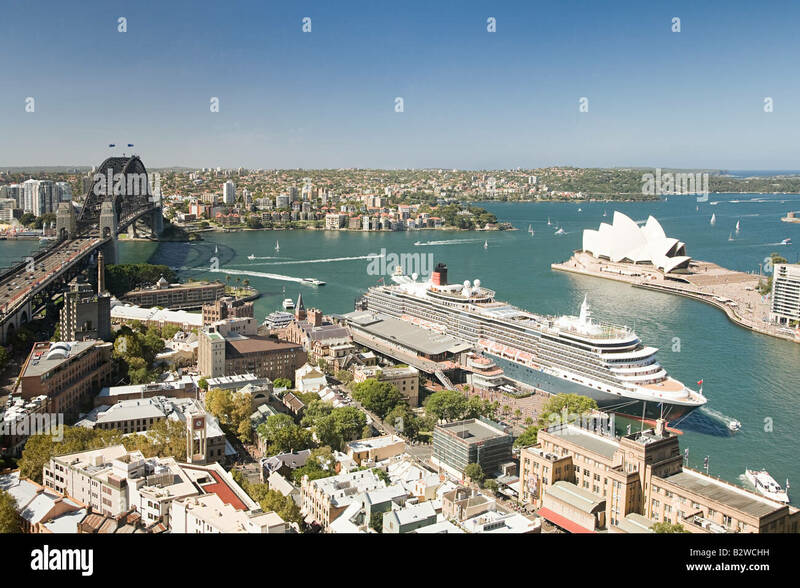 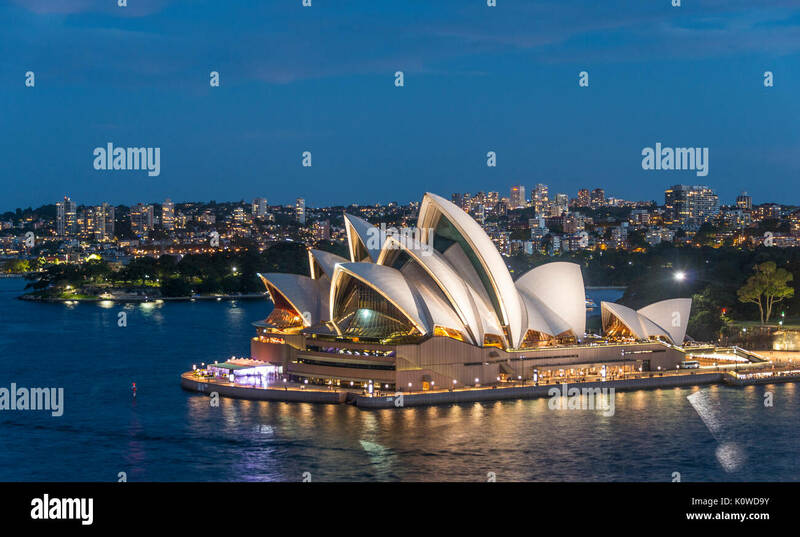 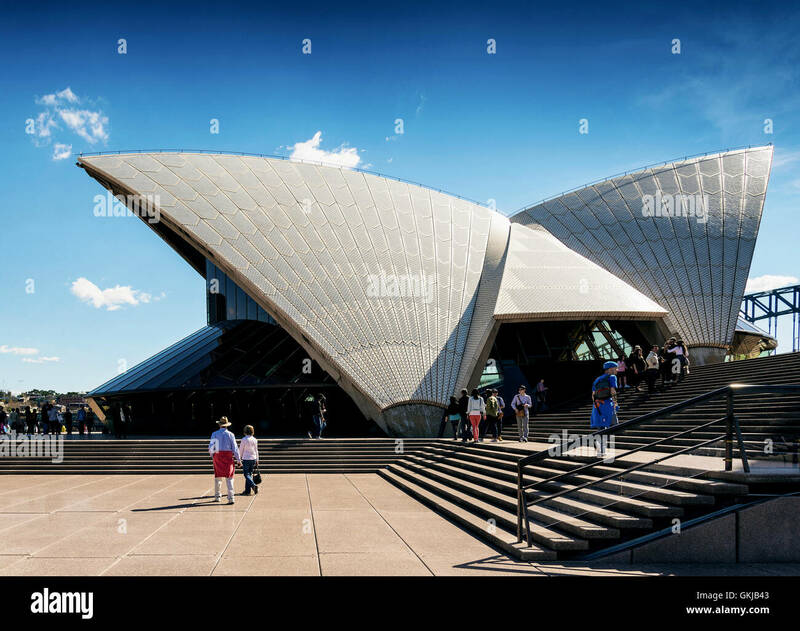 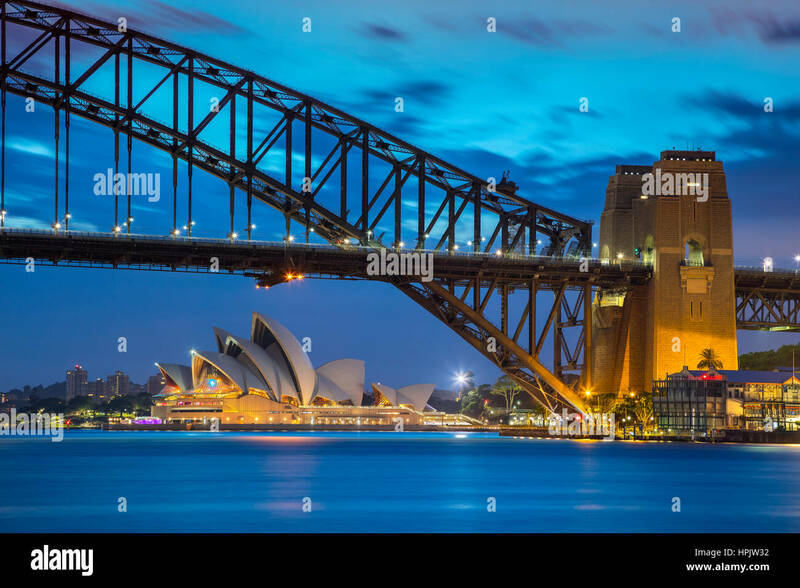 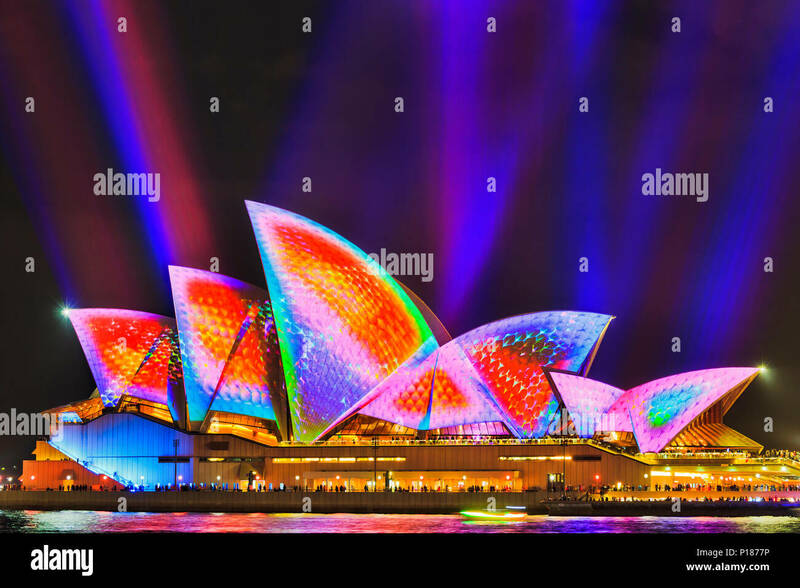 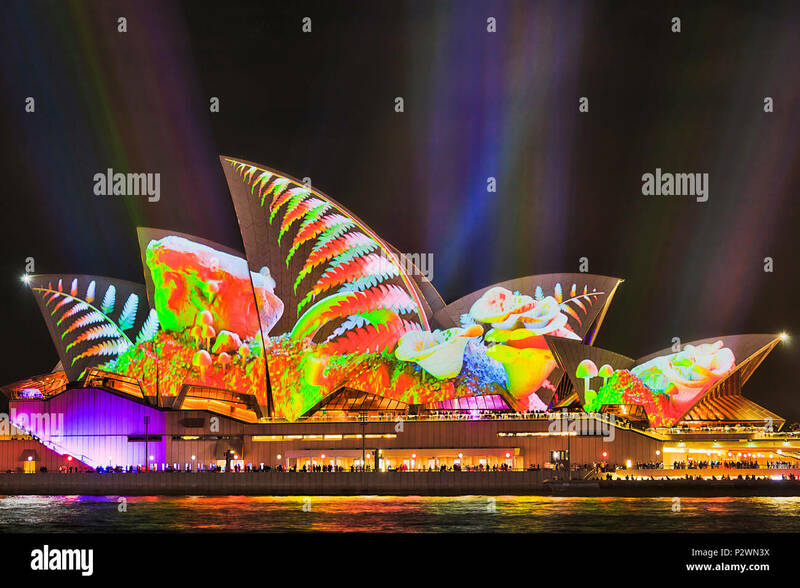 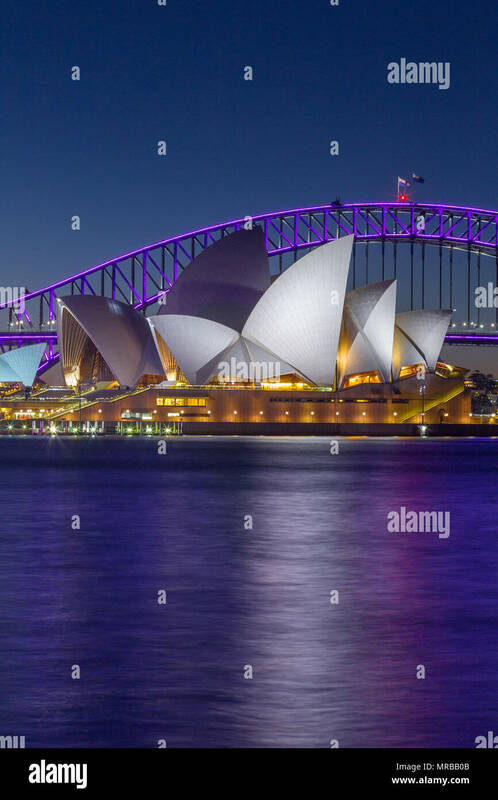 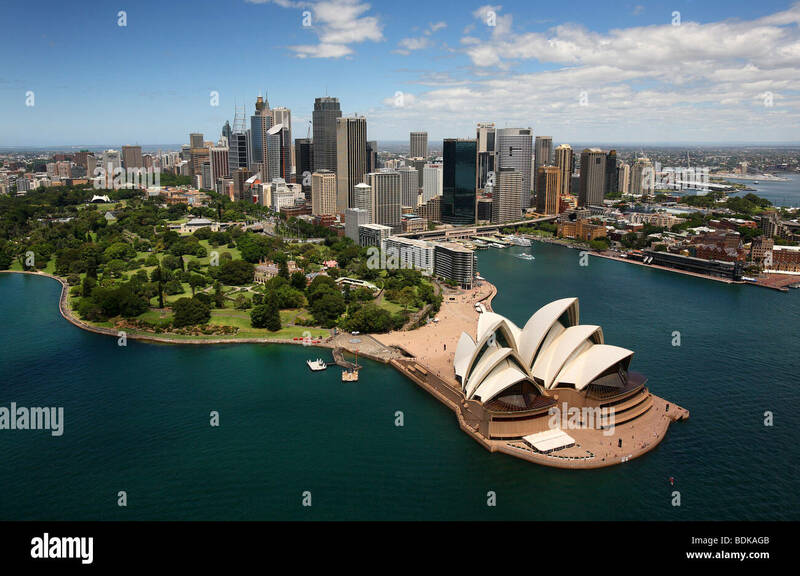 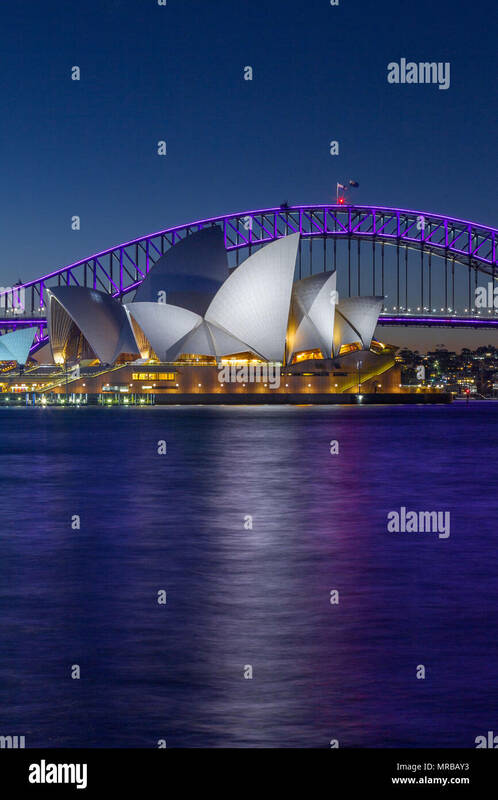 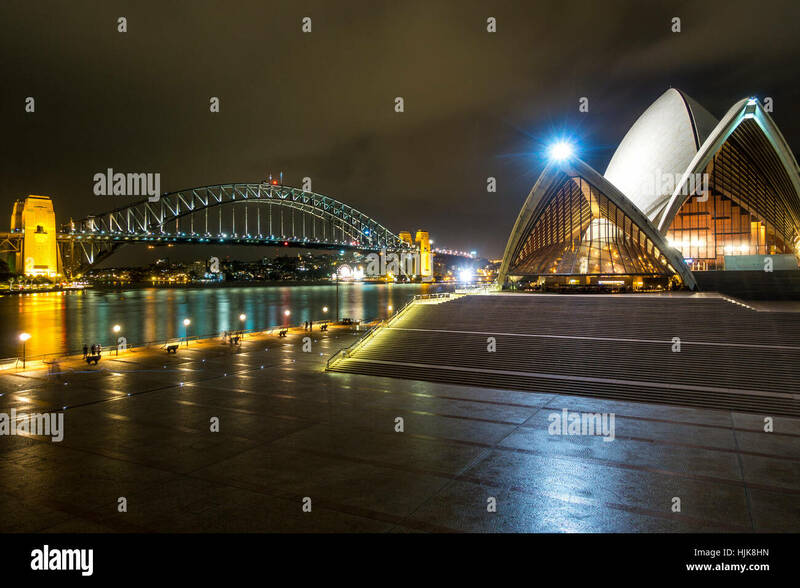 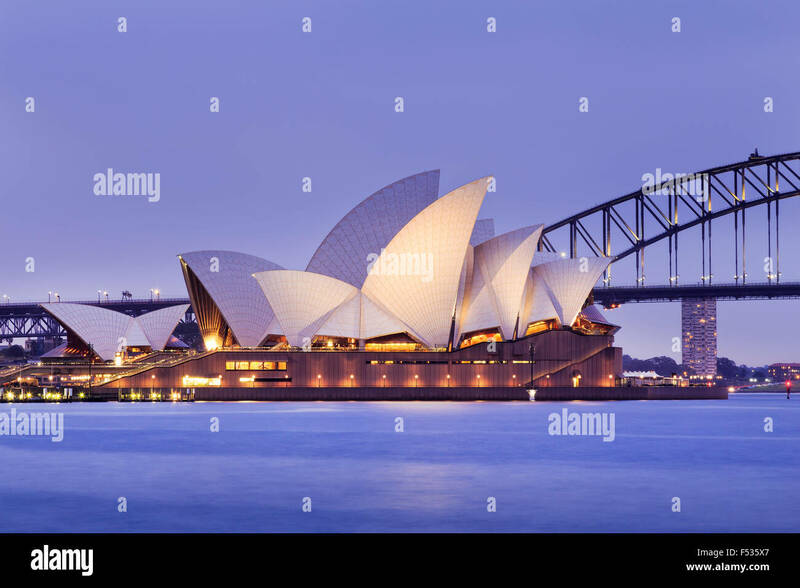 City of Sydney. 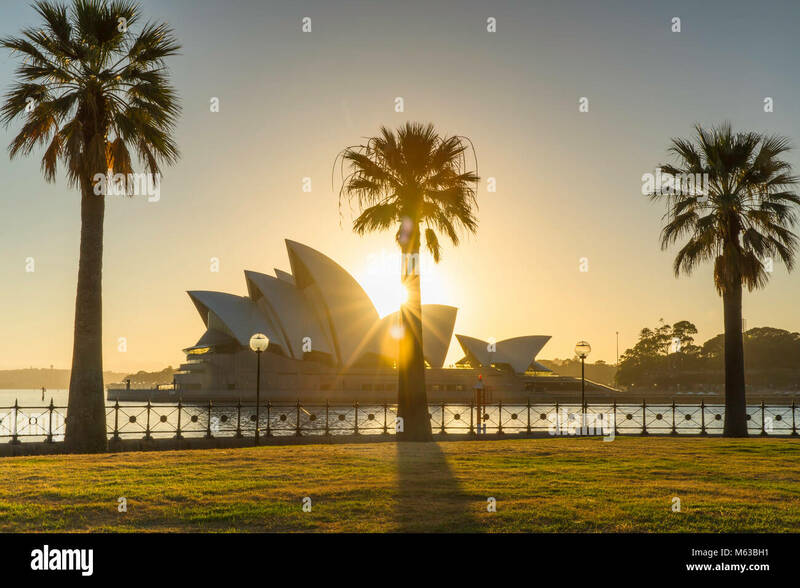 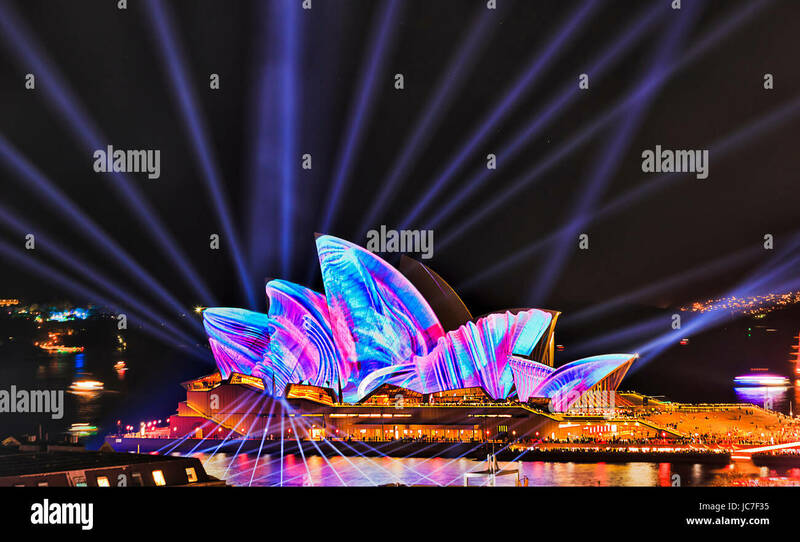 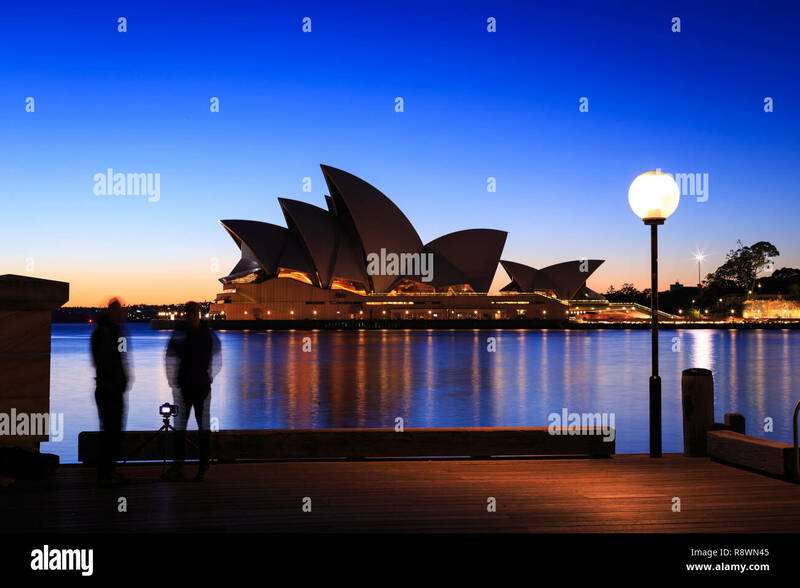 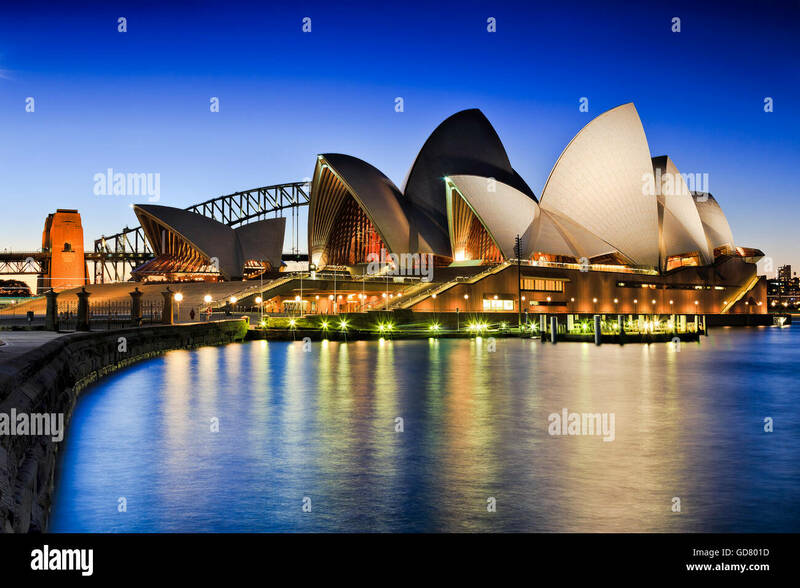 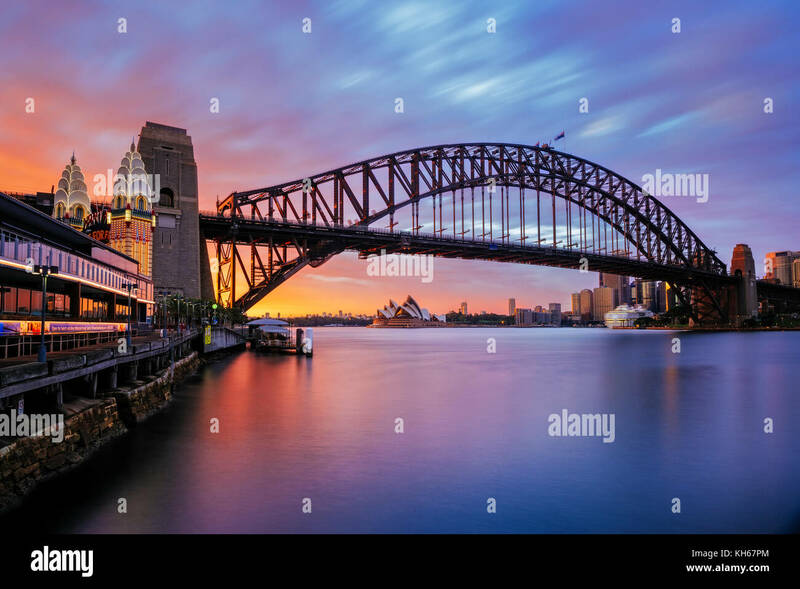 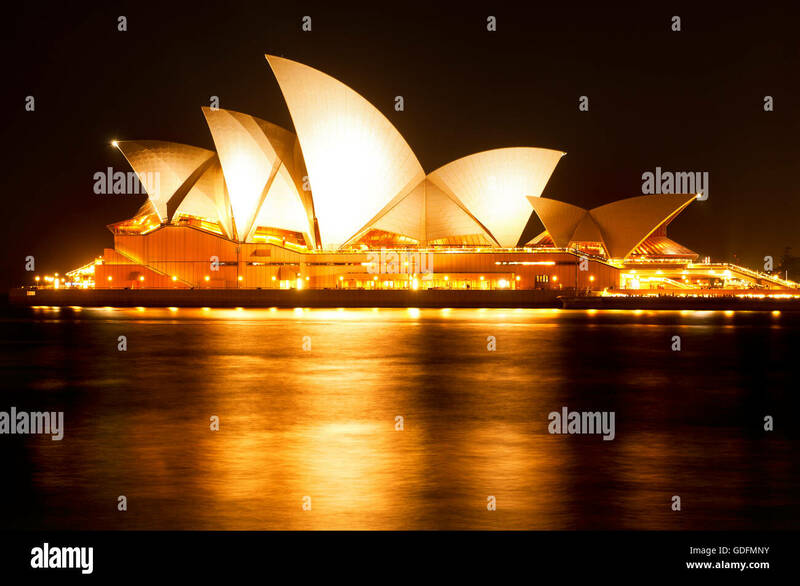 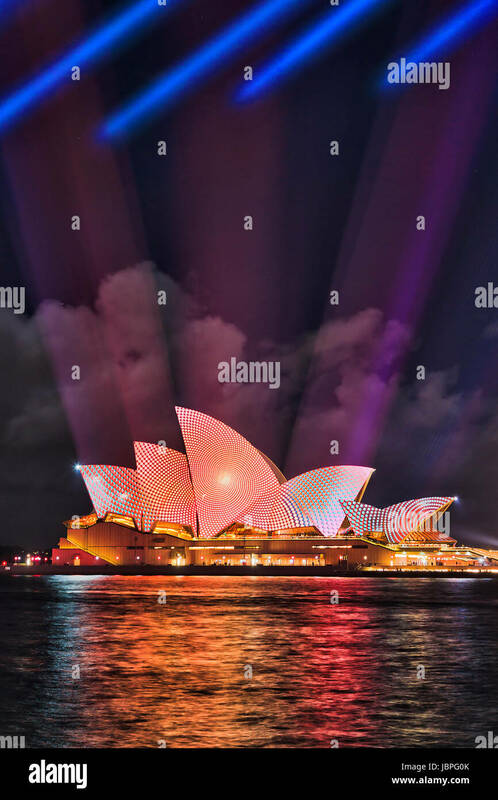 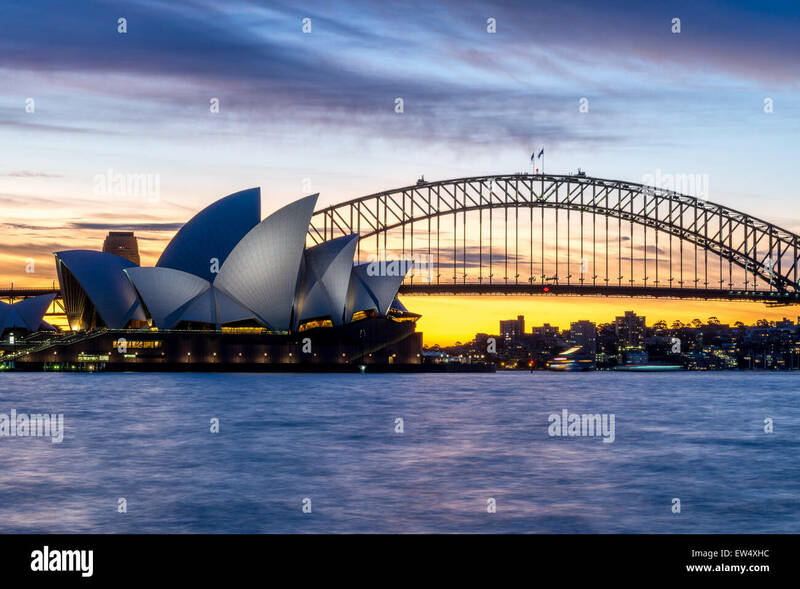 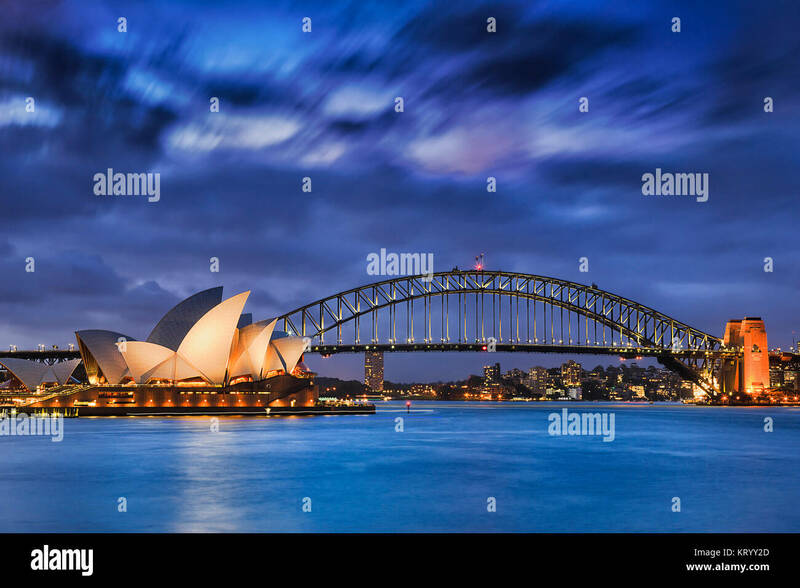 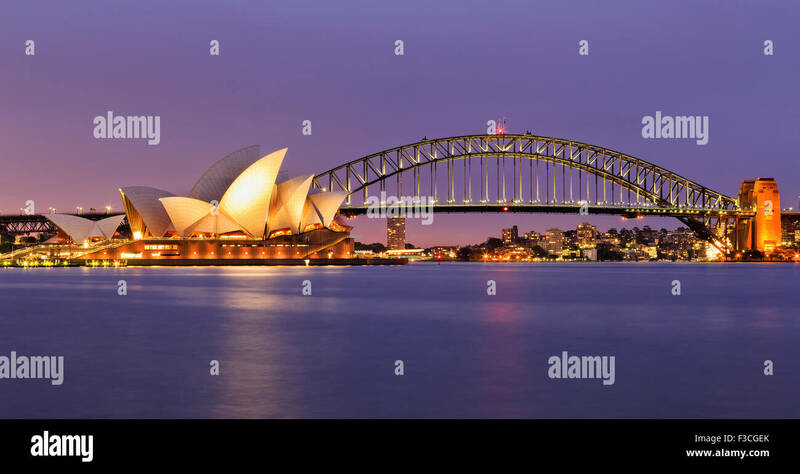 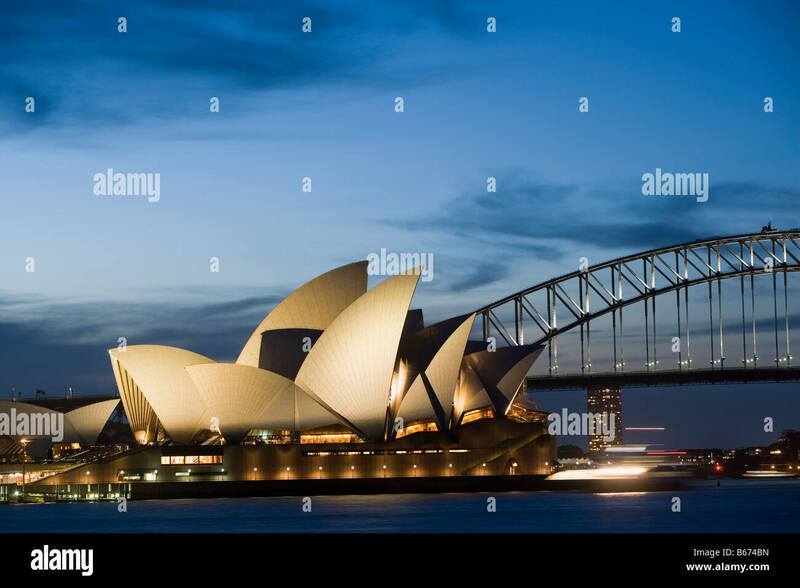 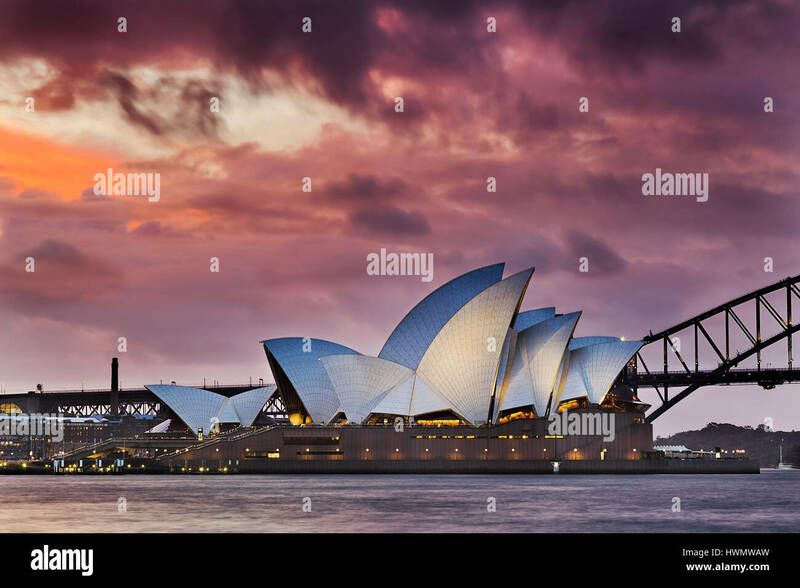 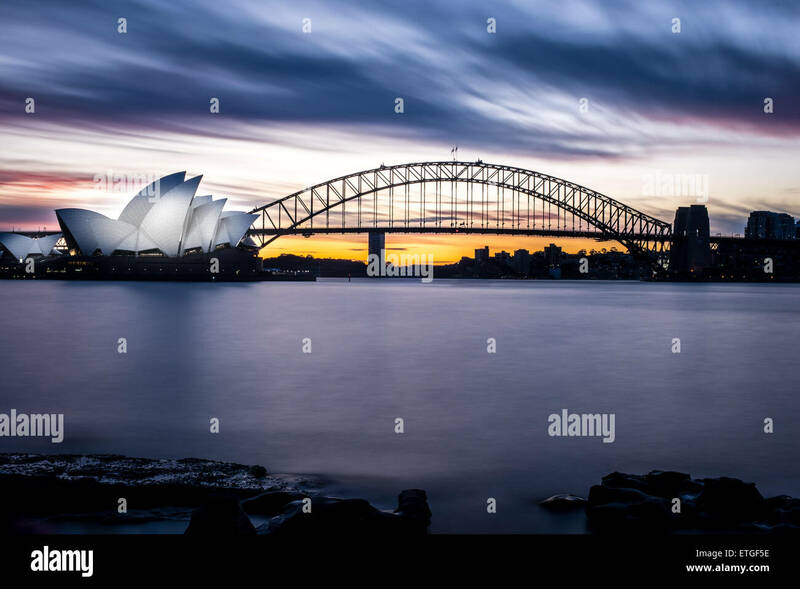 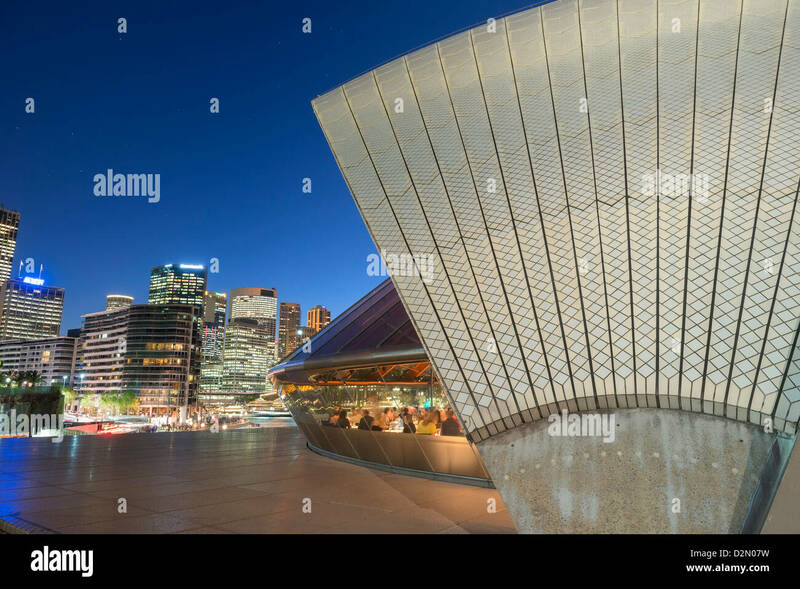 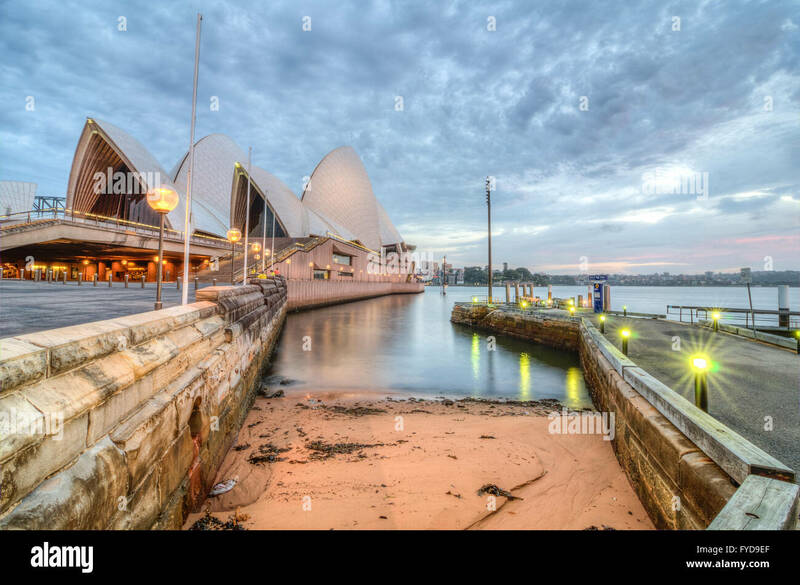 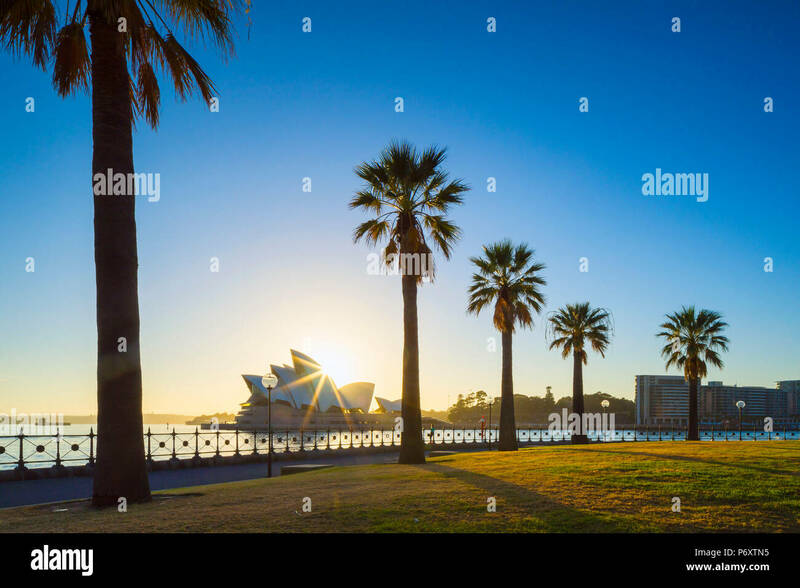 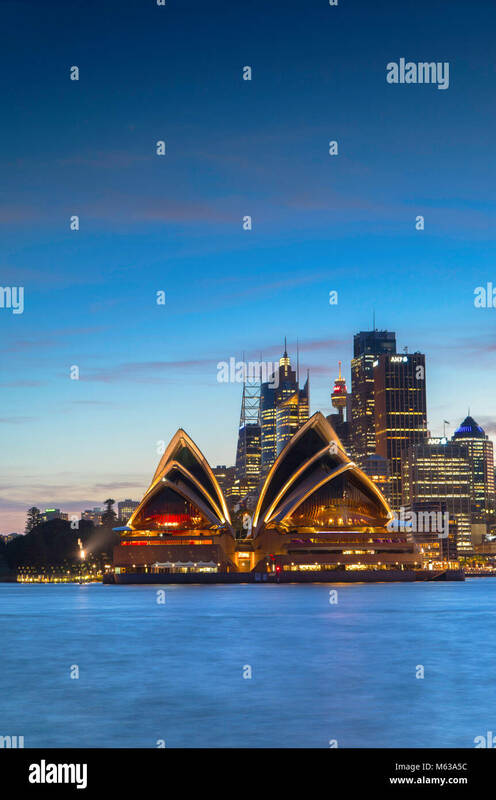 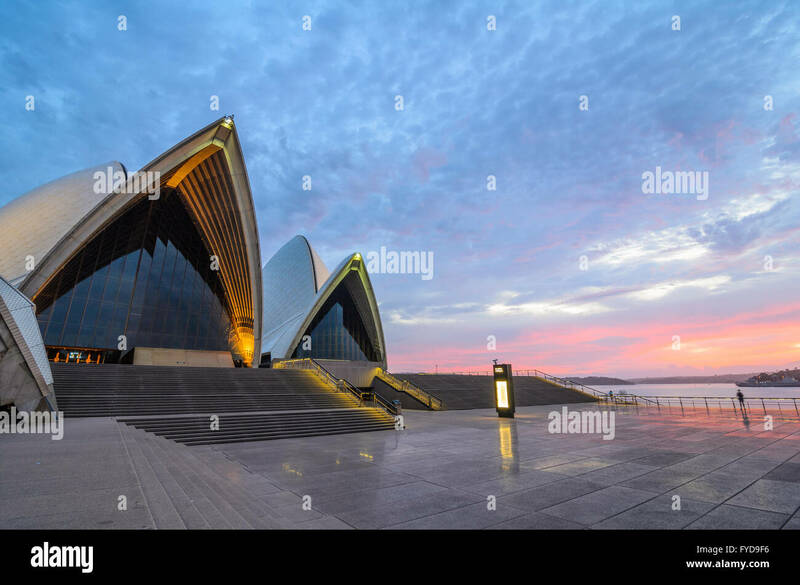 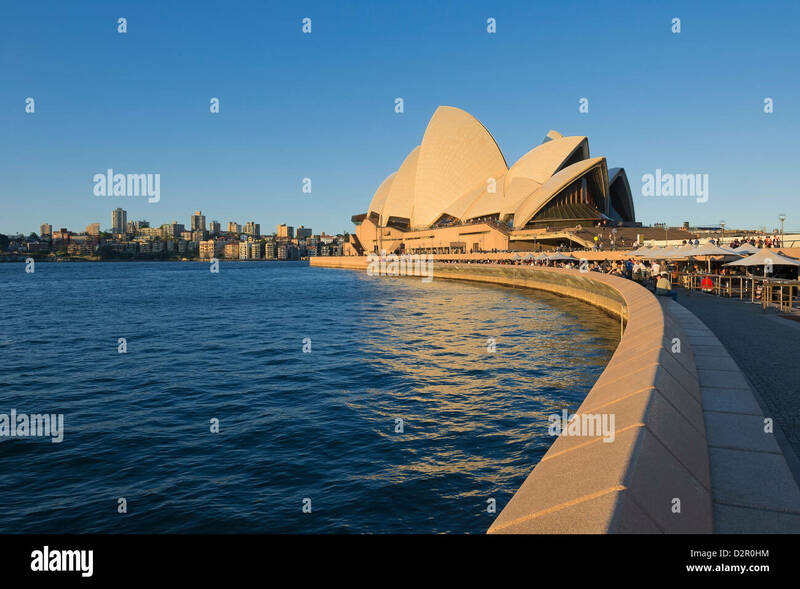 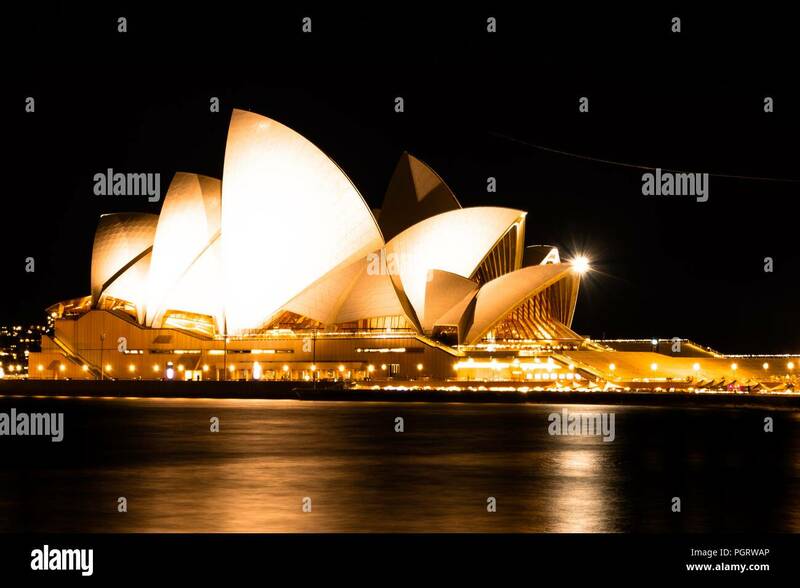 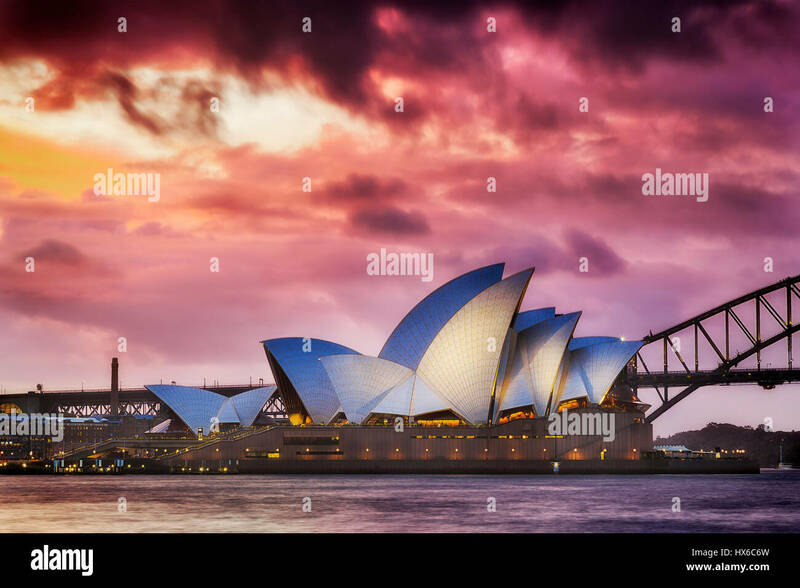 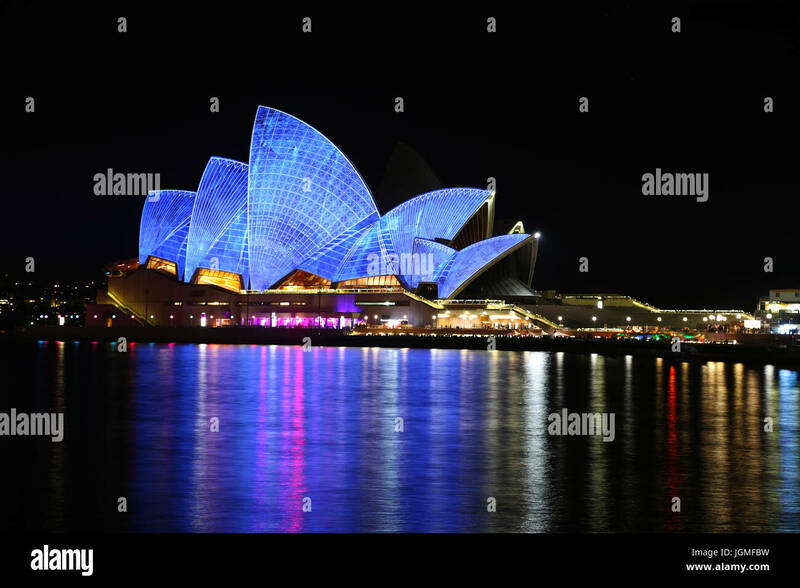 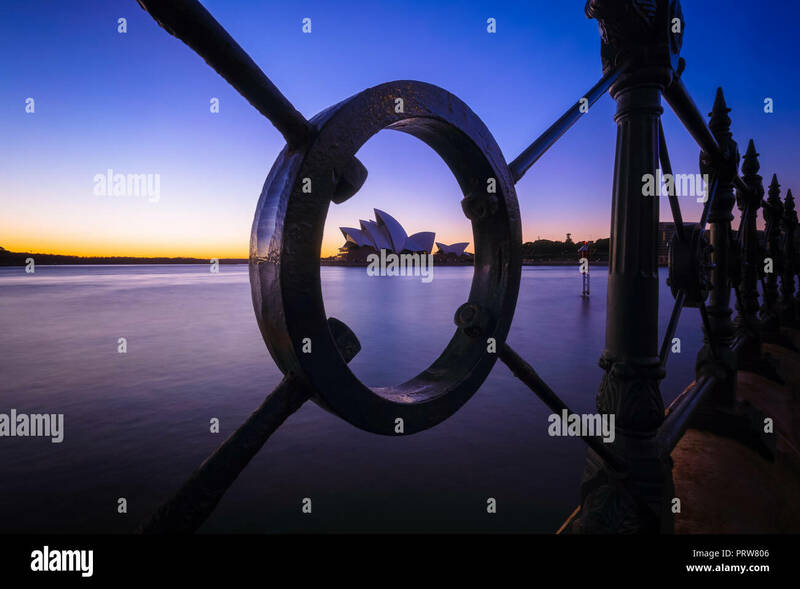 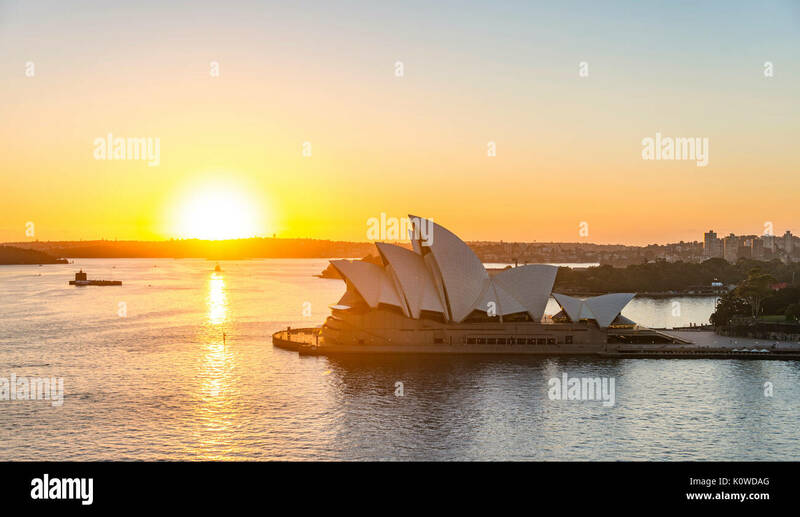 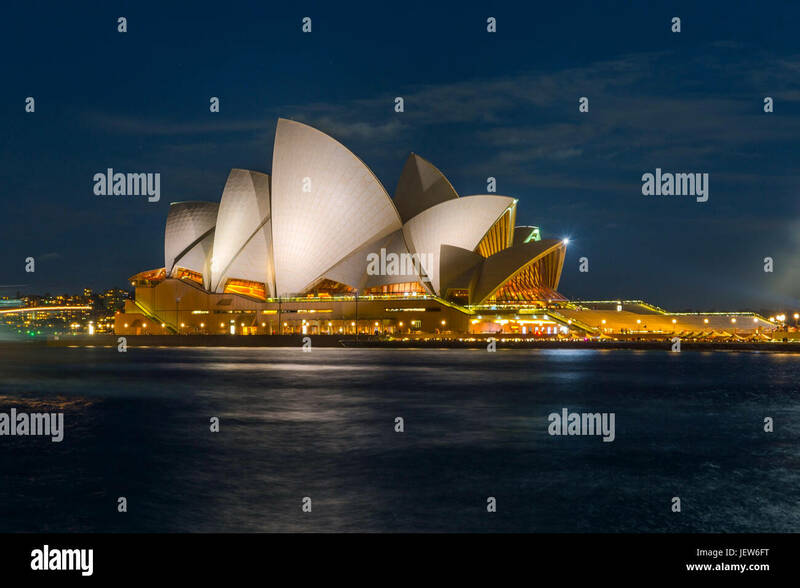 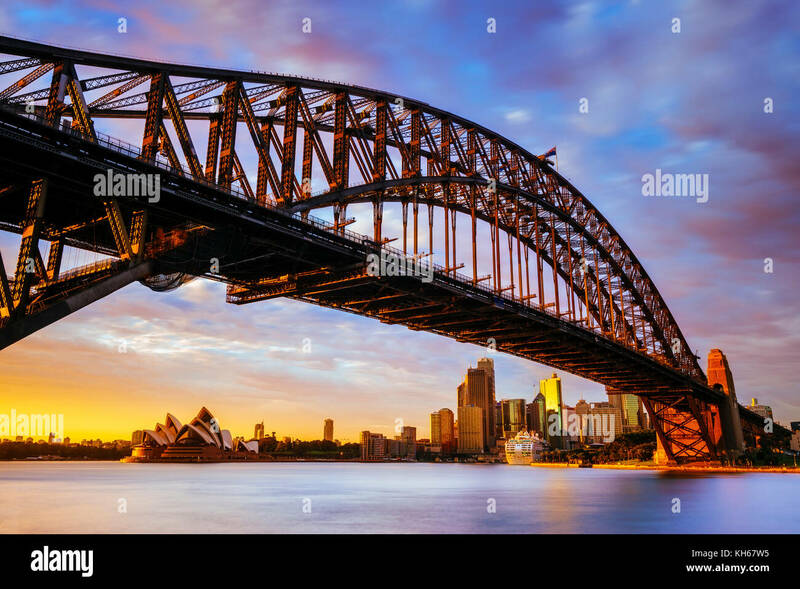 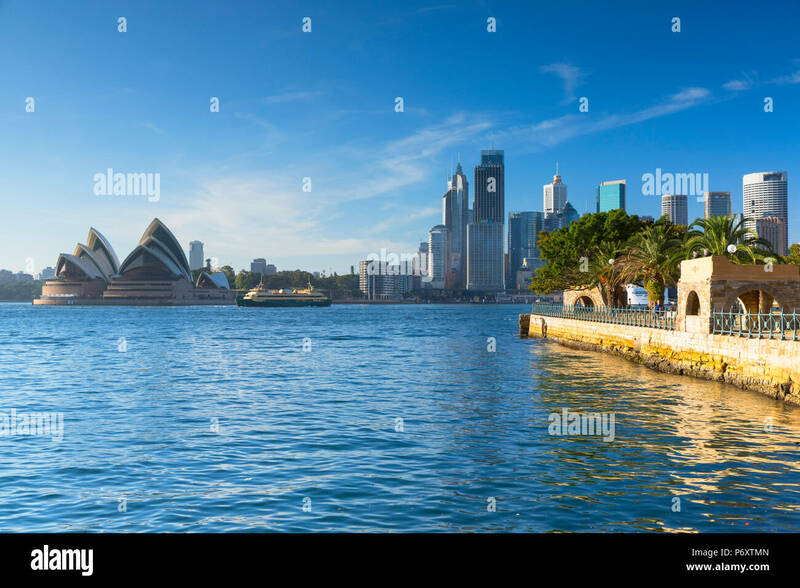 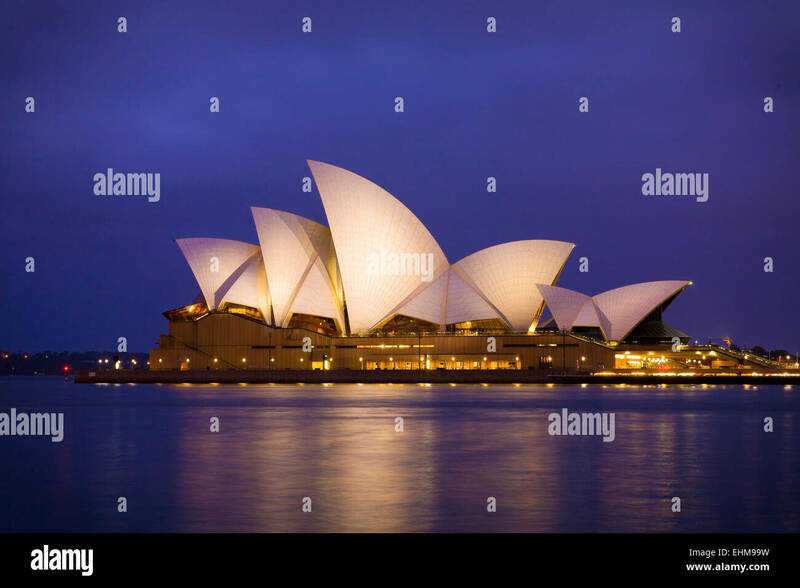 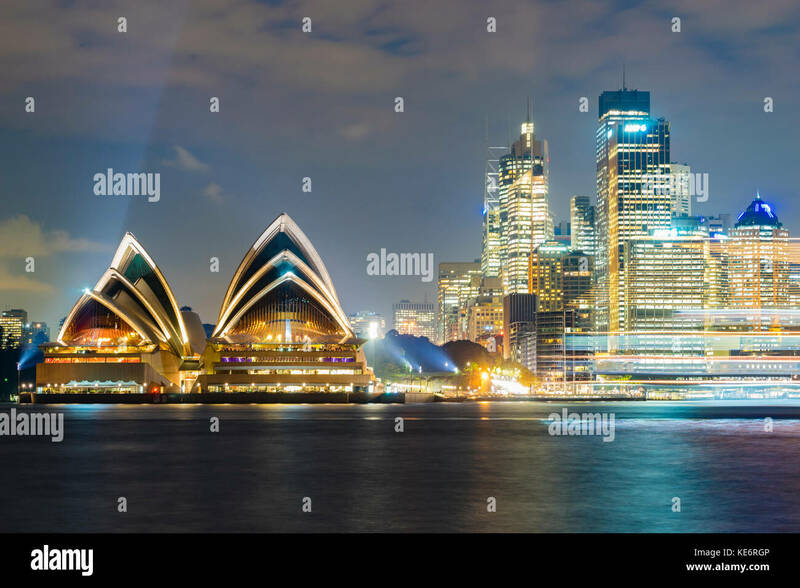 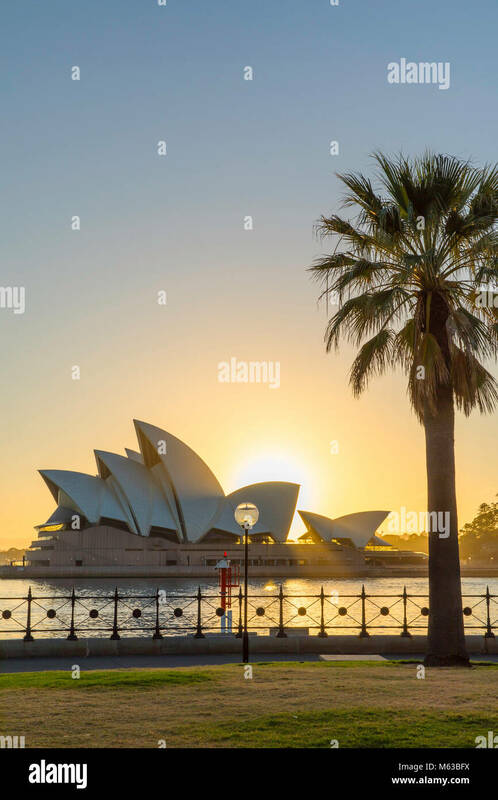 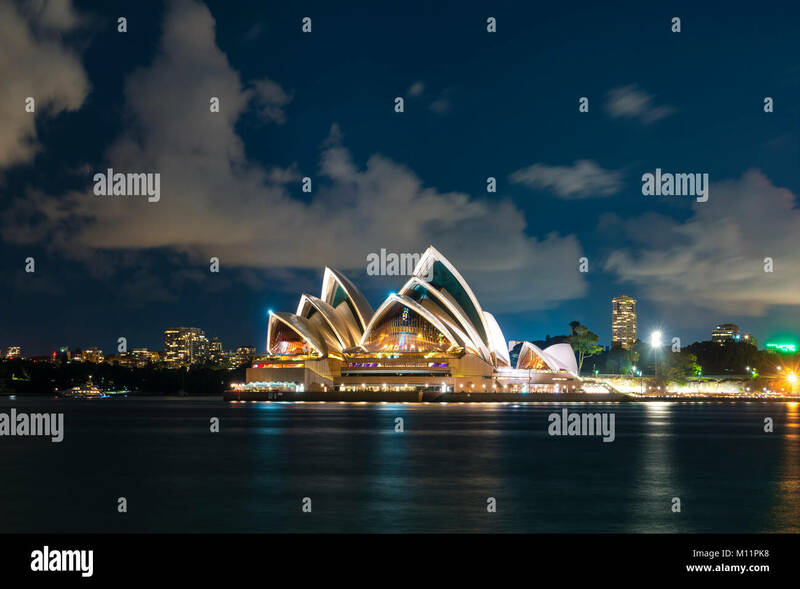 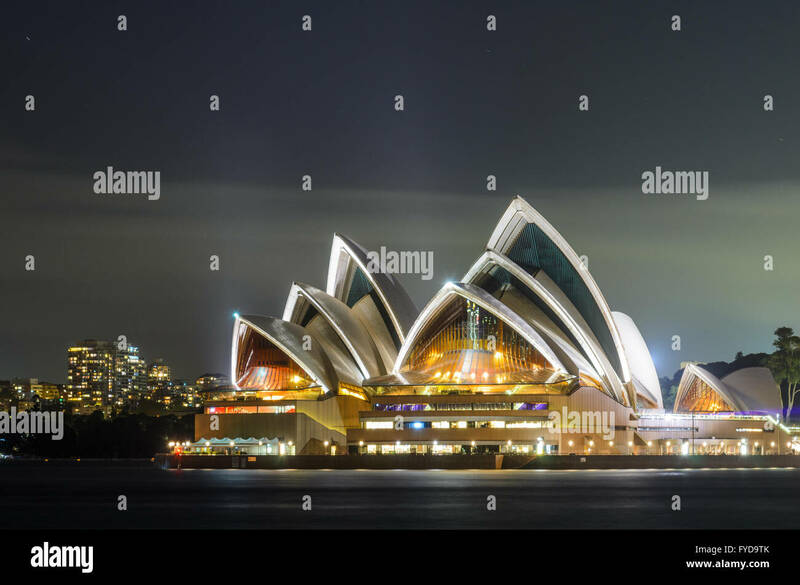 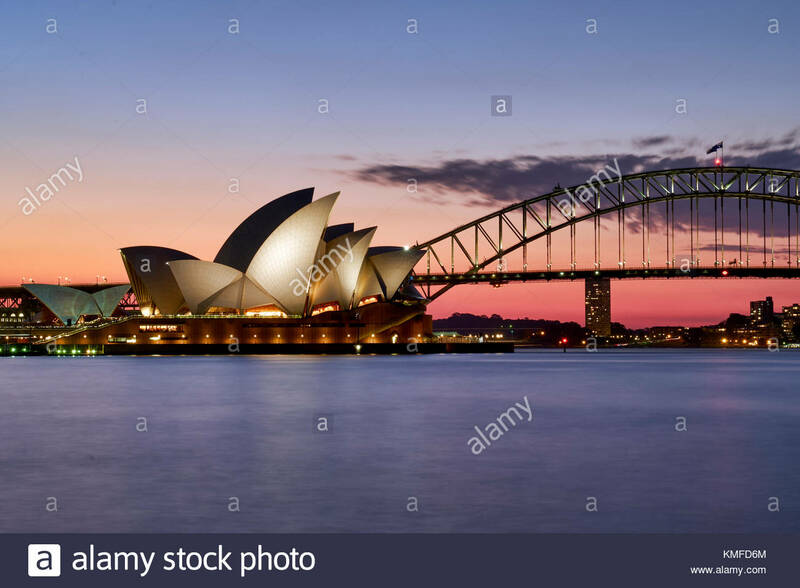 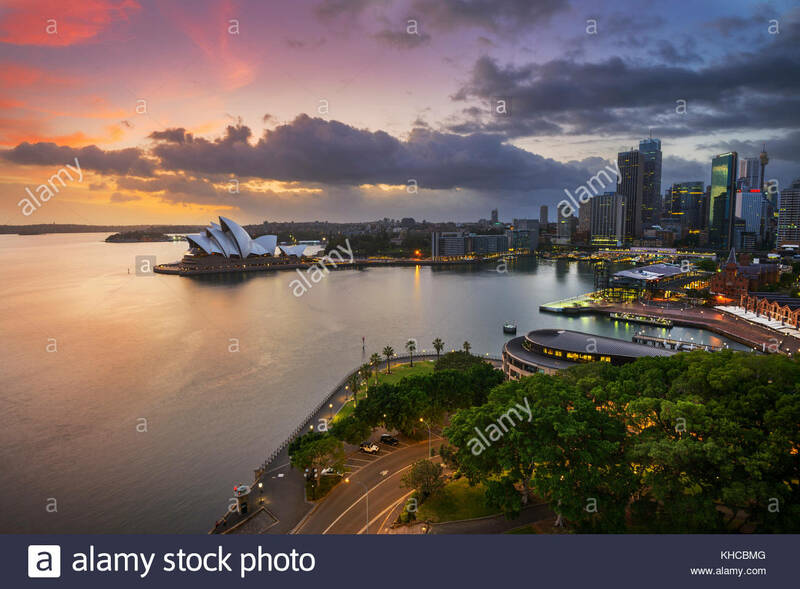 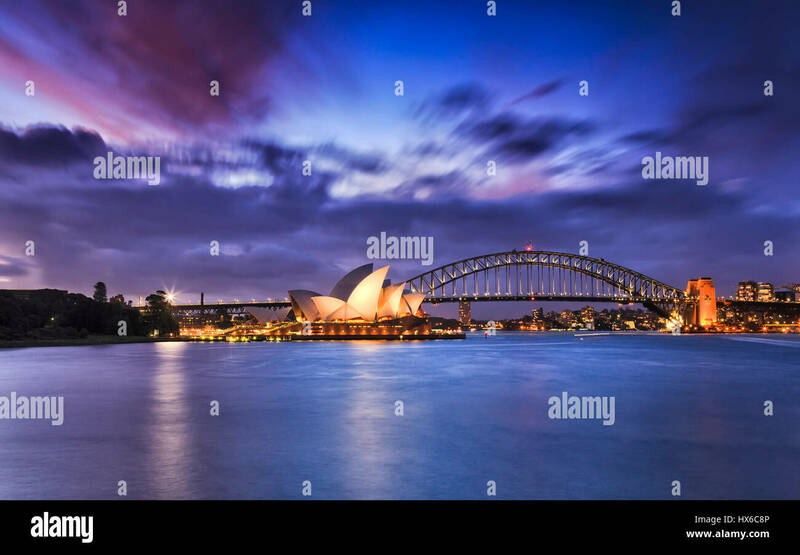 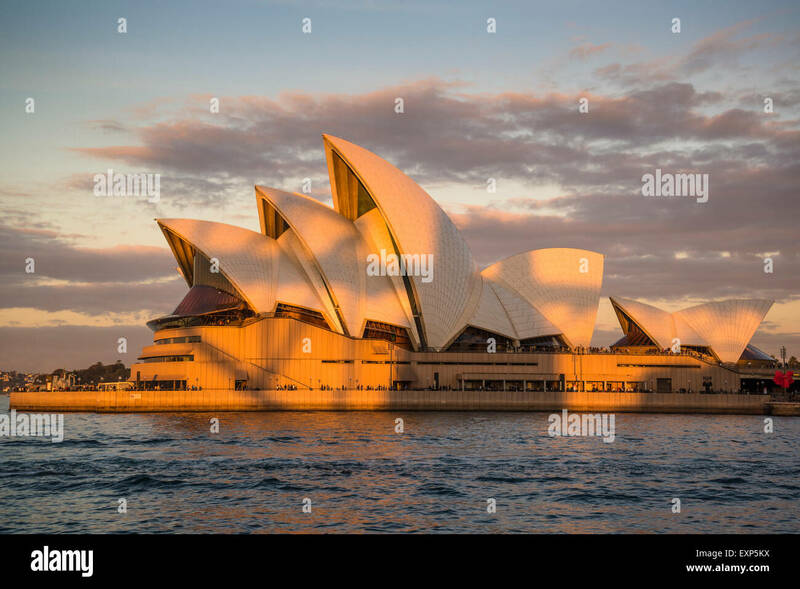 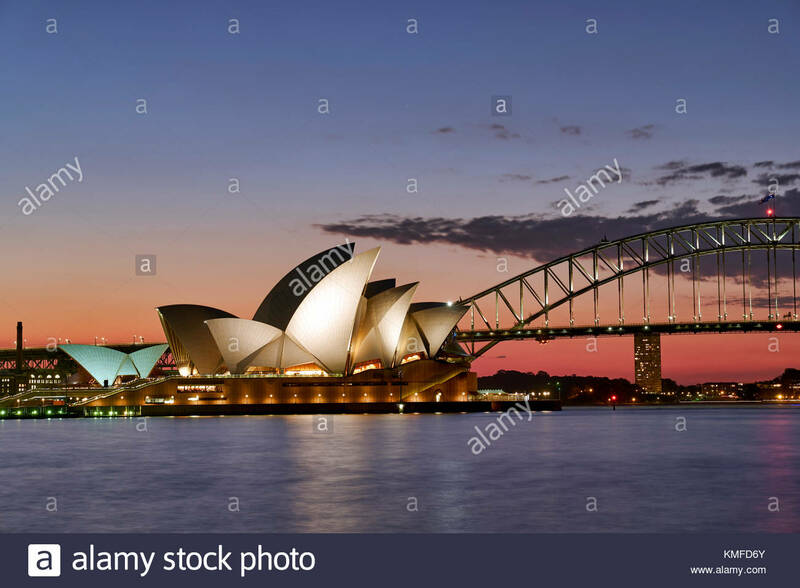 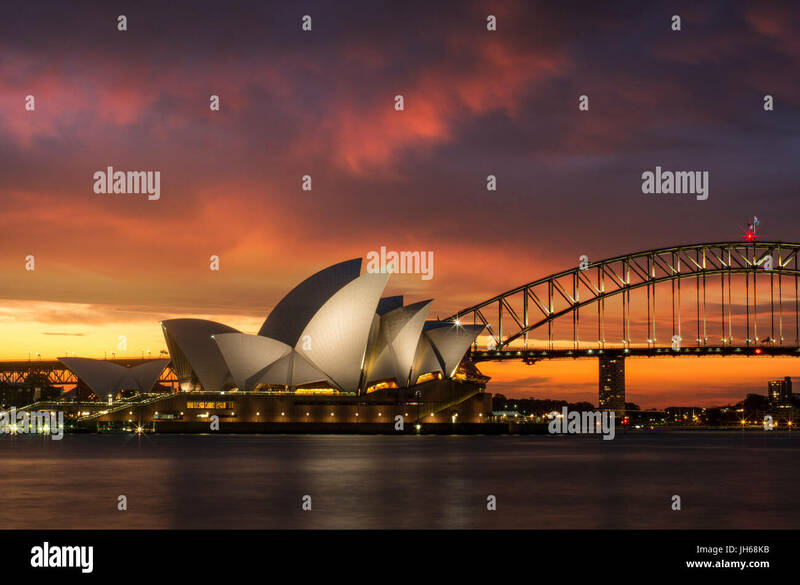 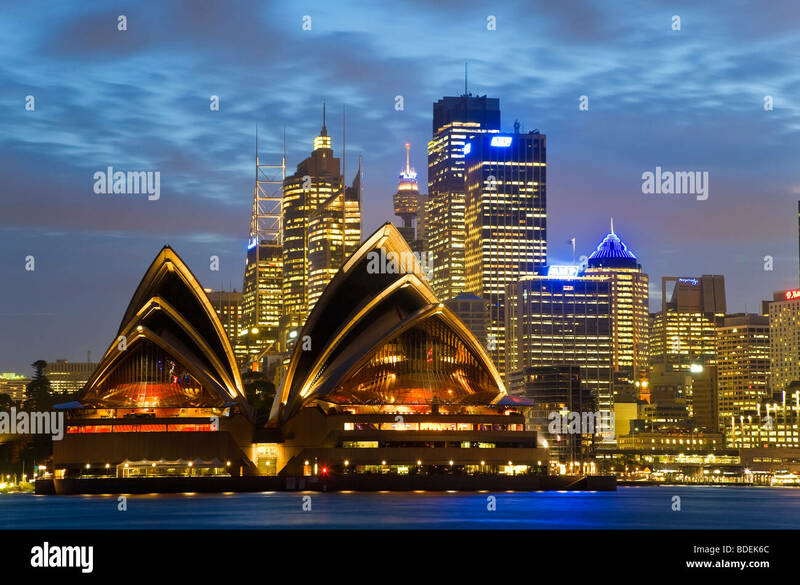 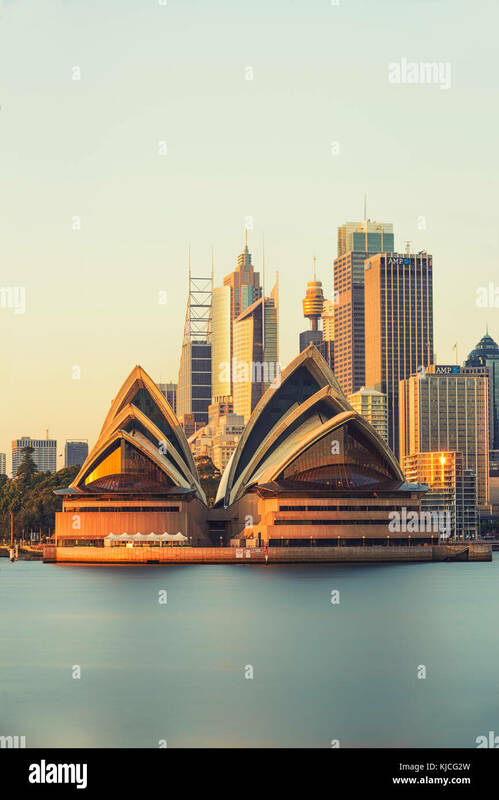 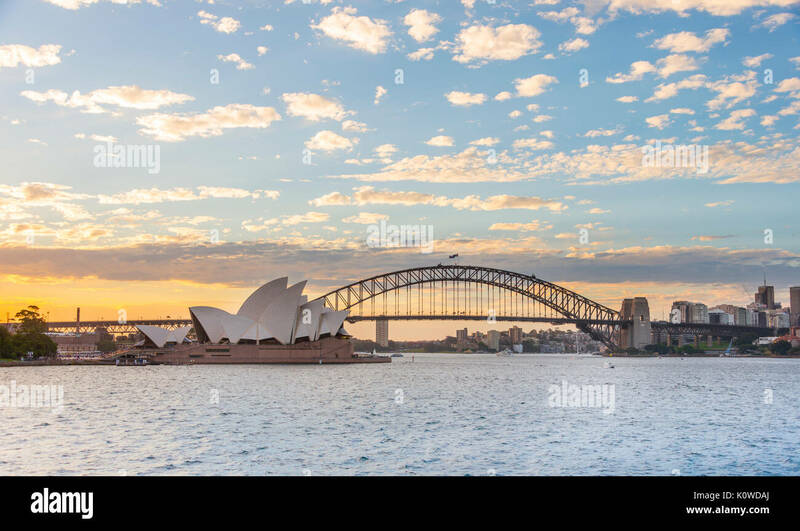 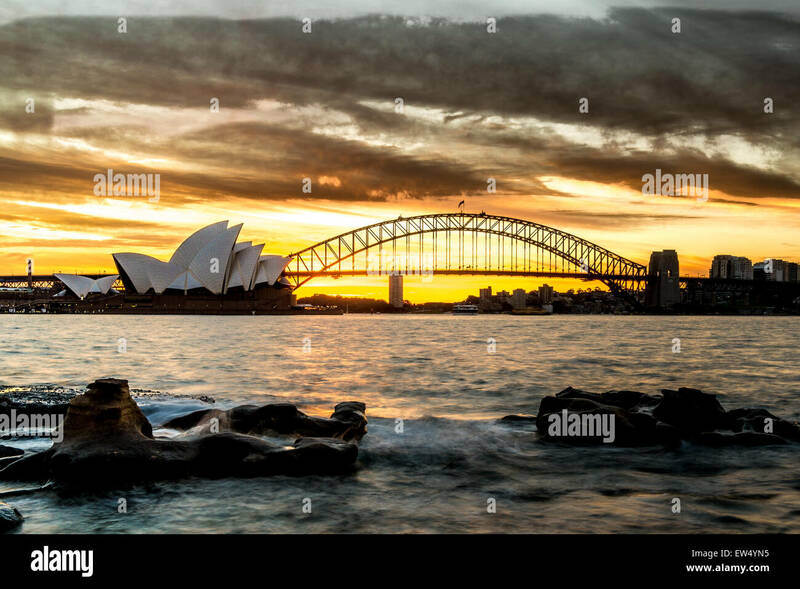 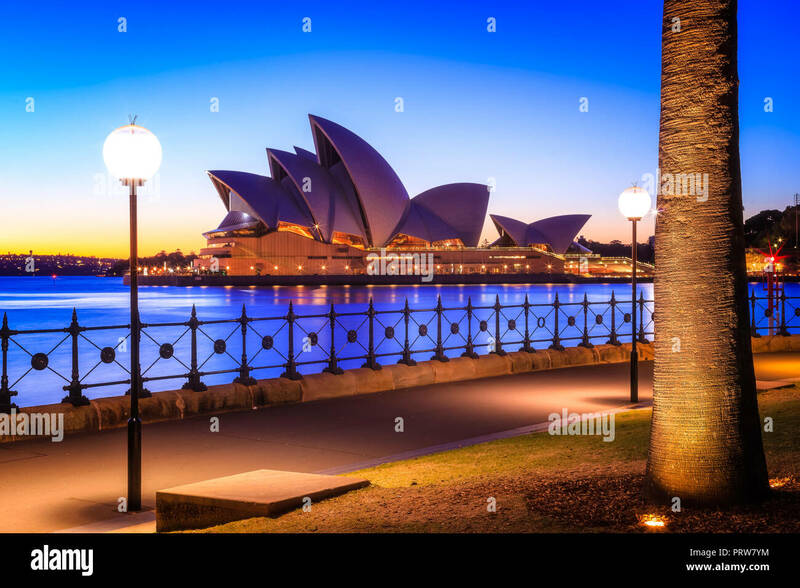 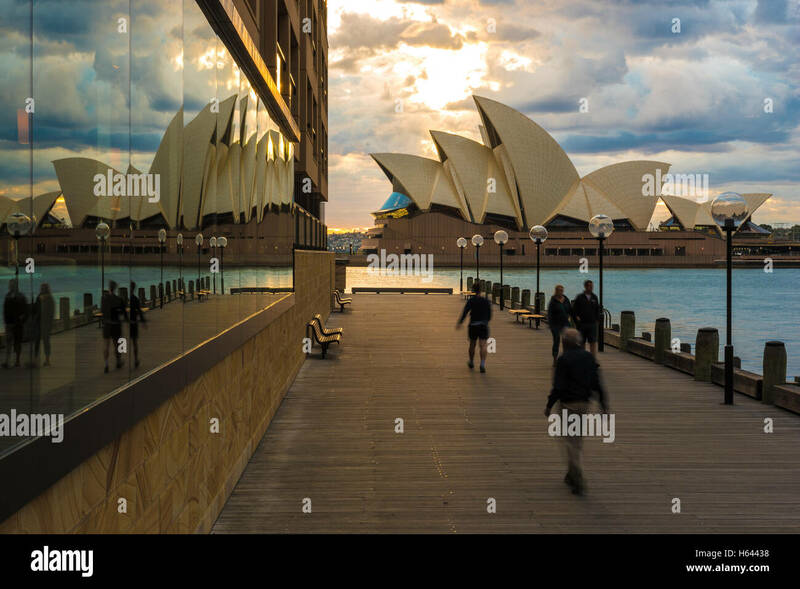 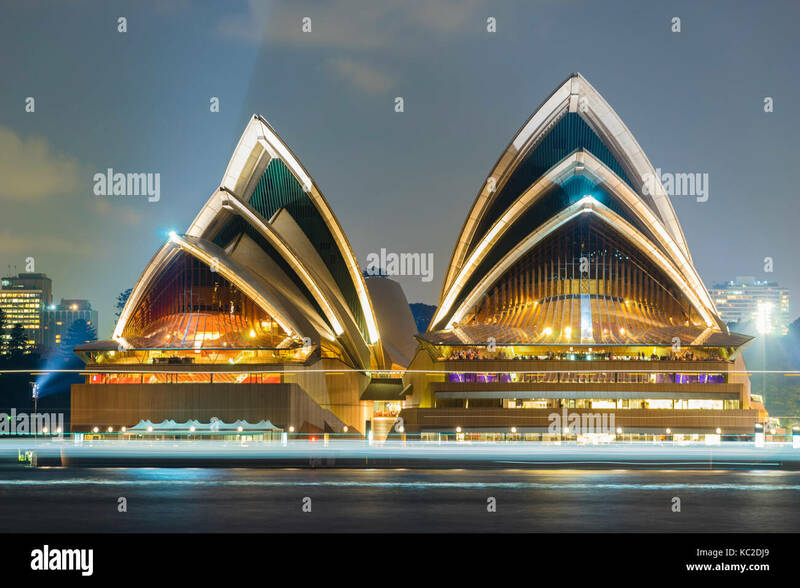 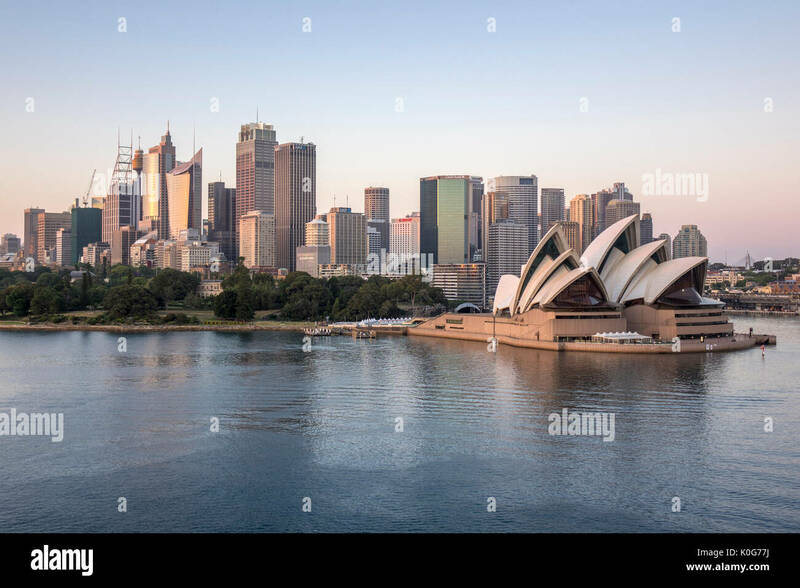 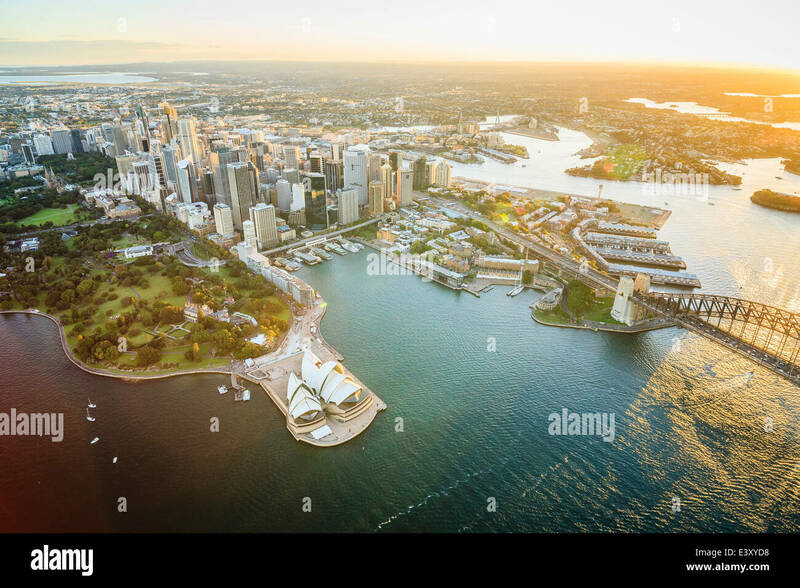 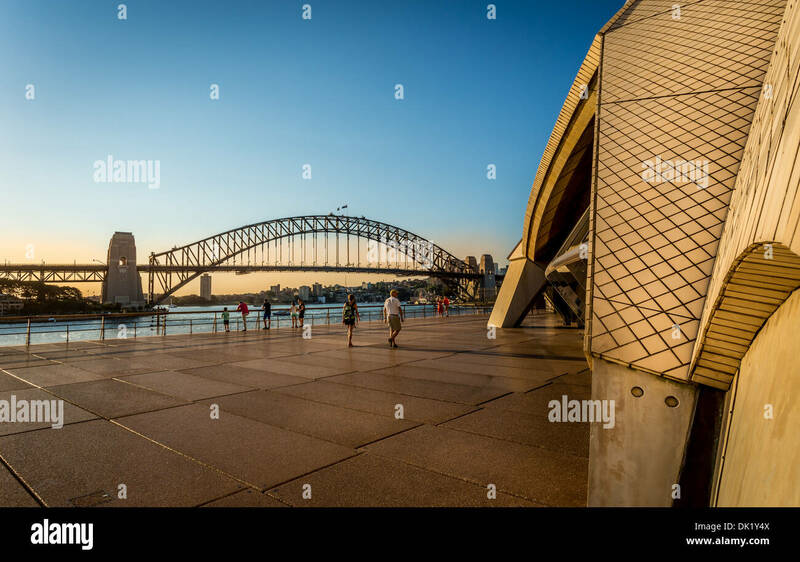 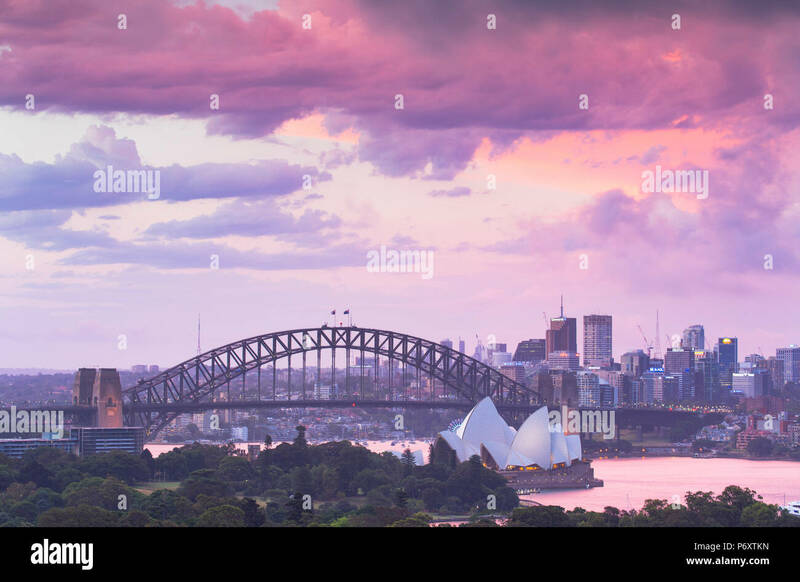 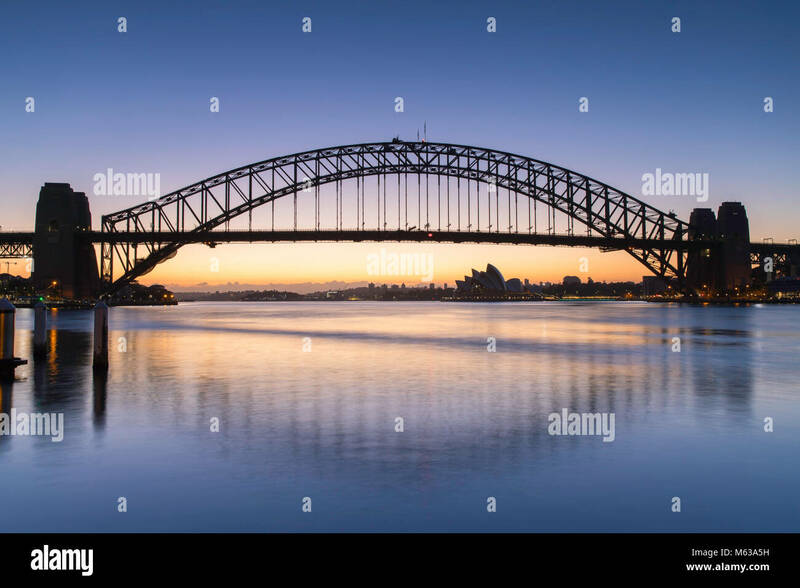 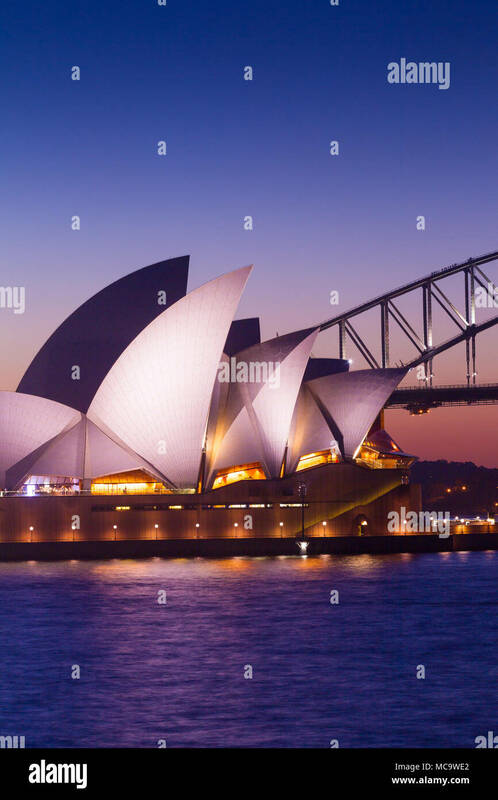 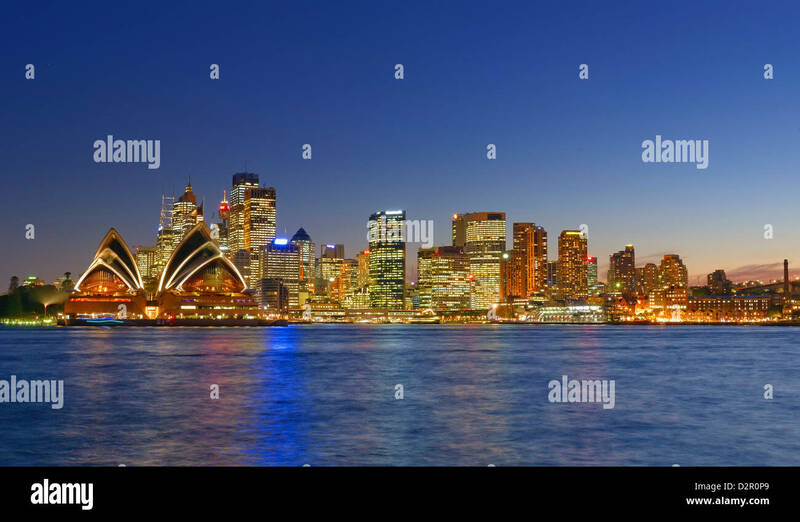 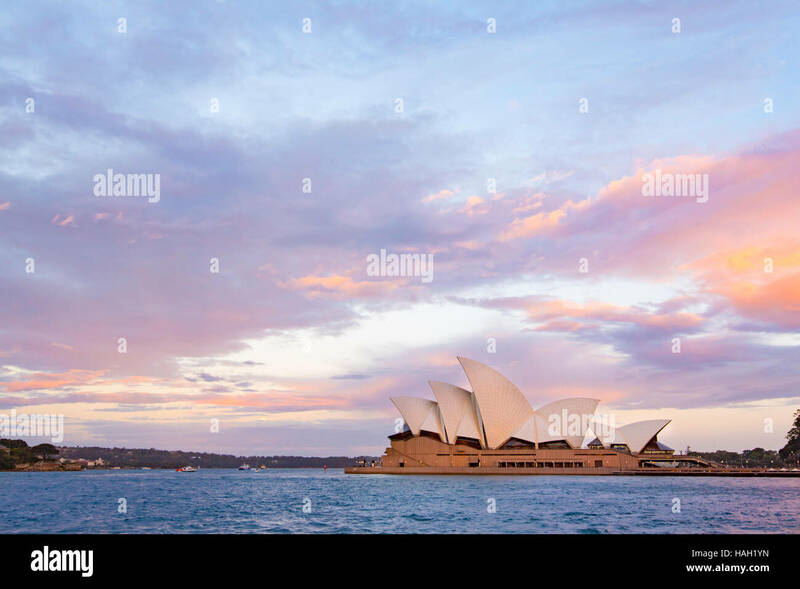 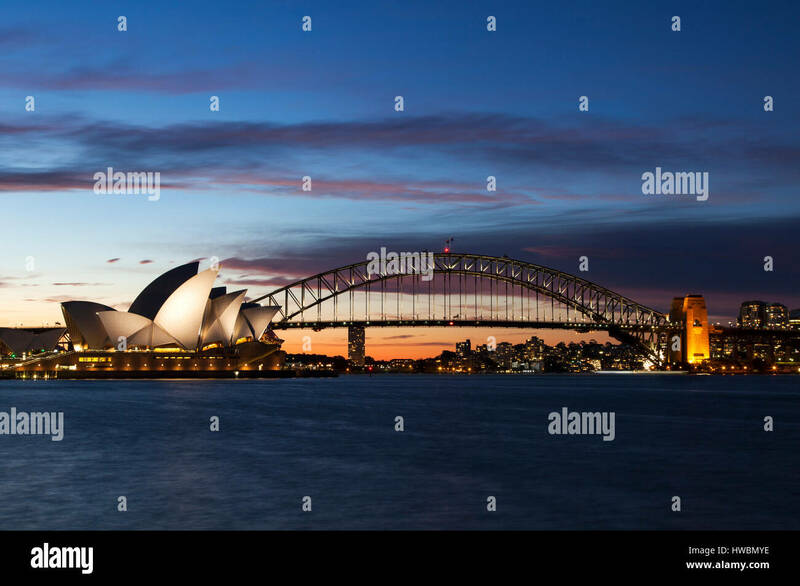 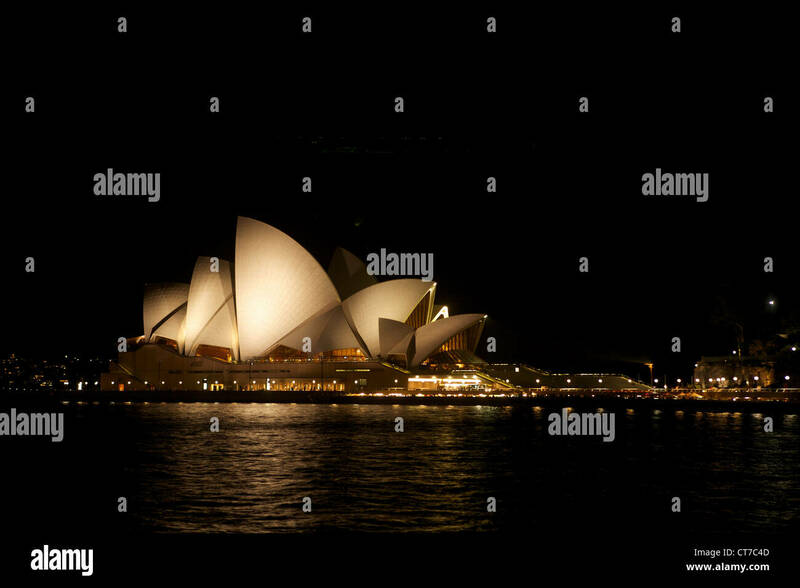 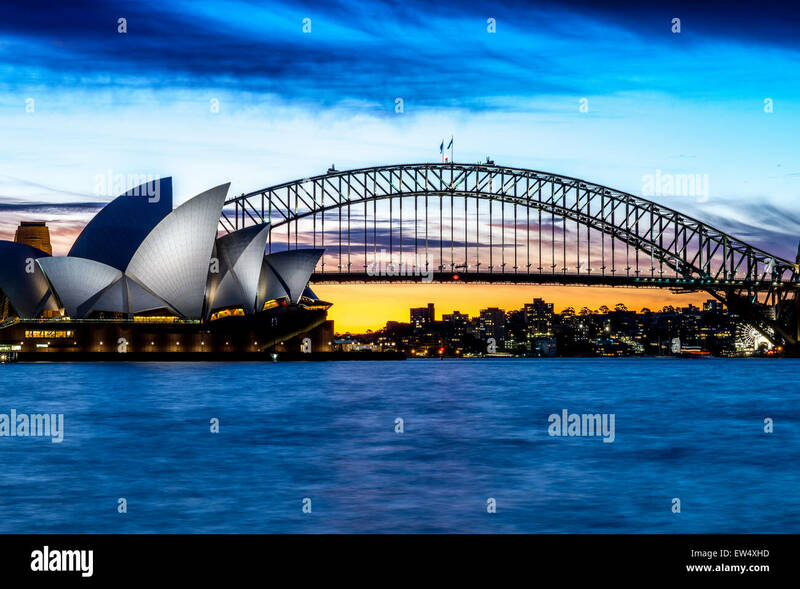 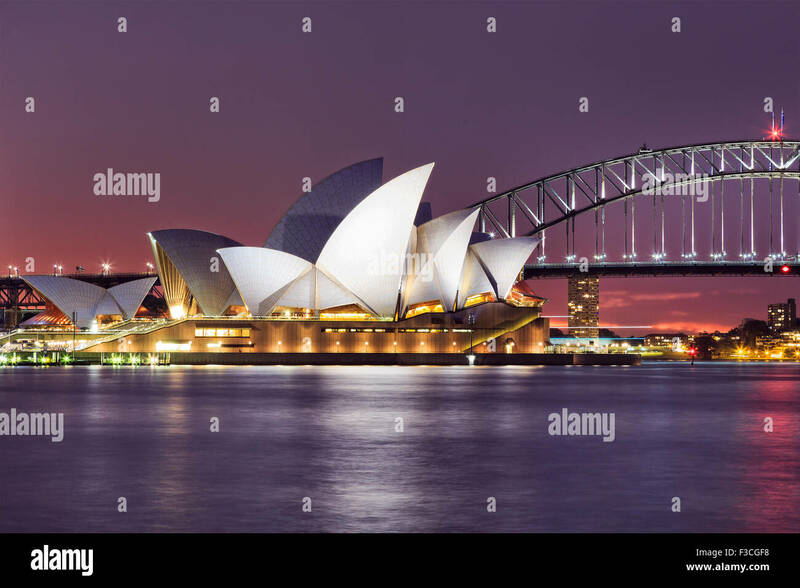 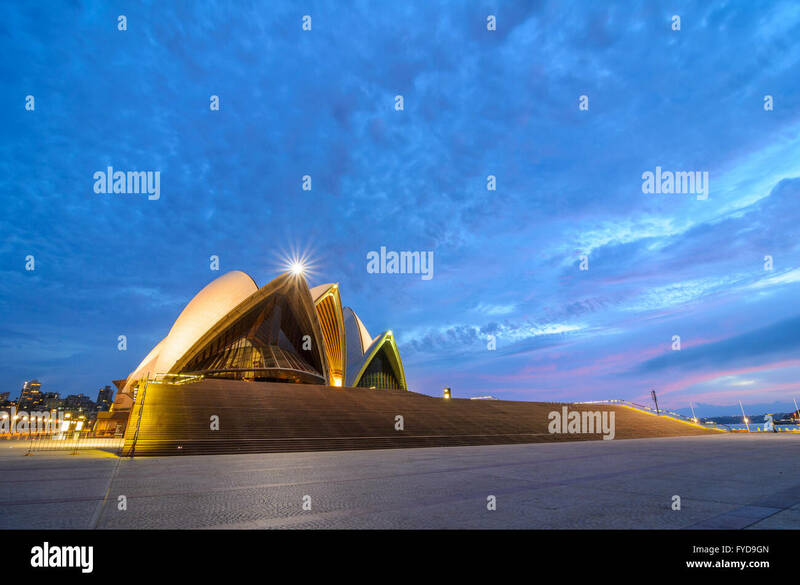 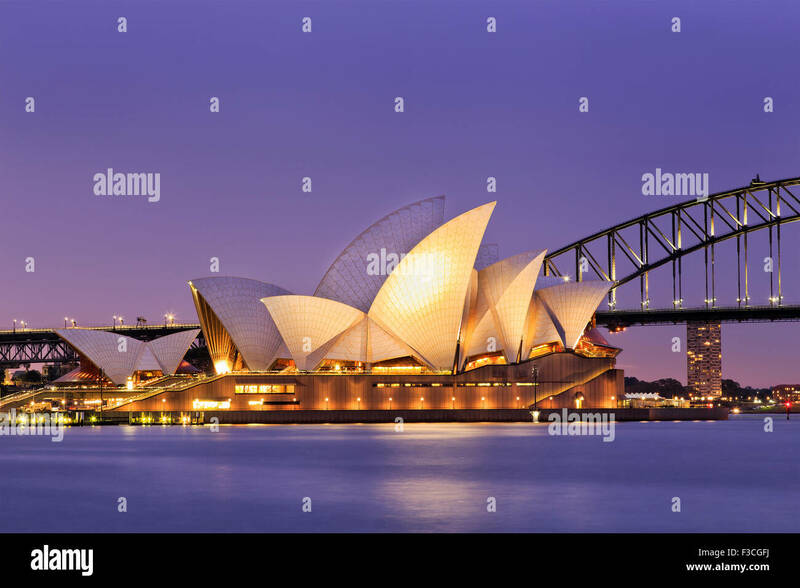 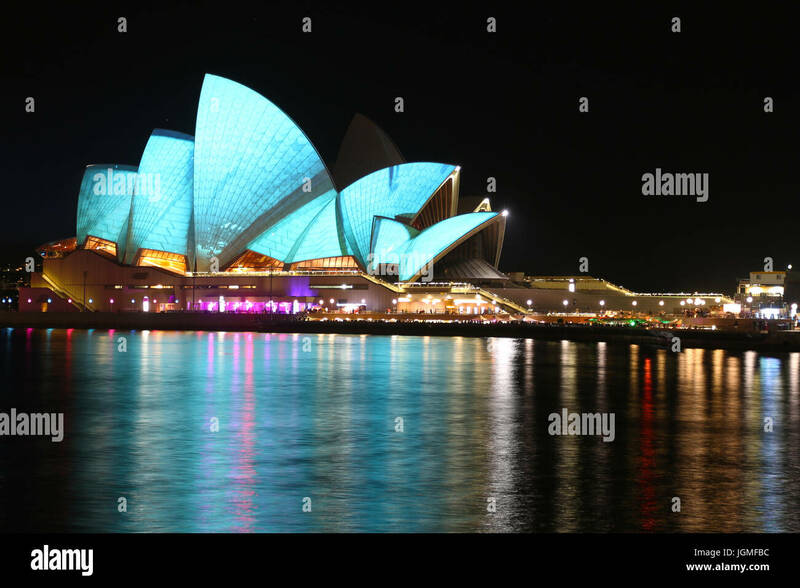 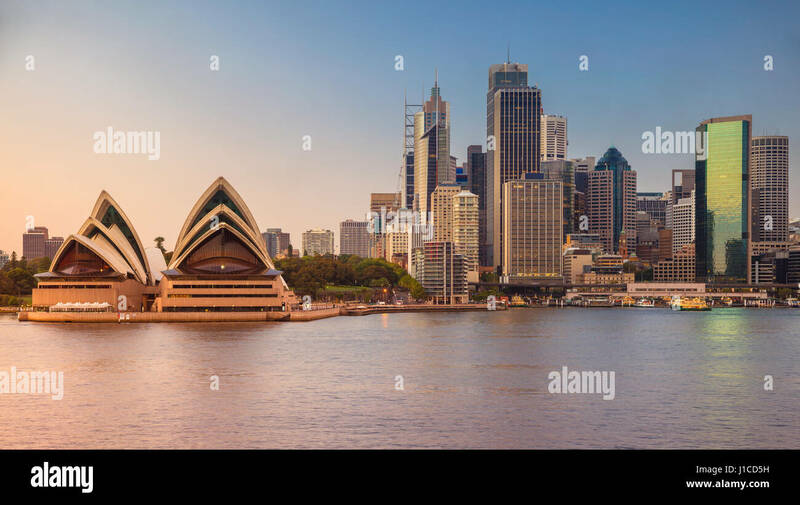 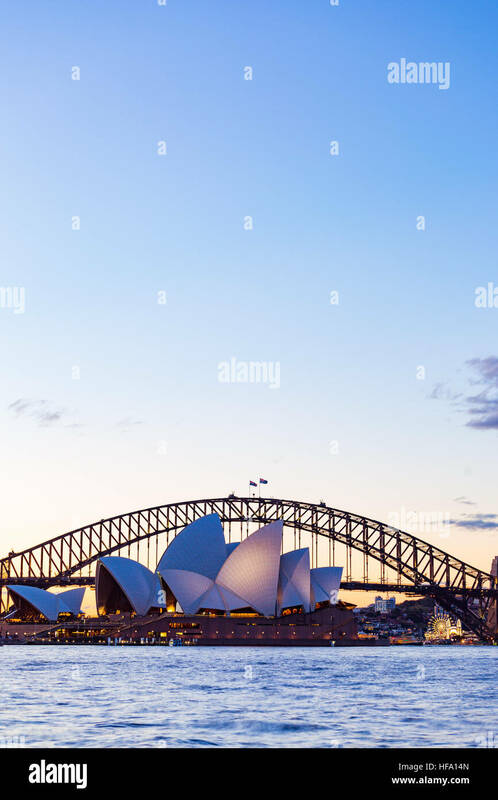 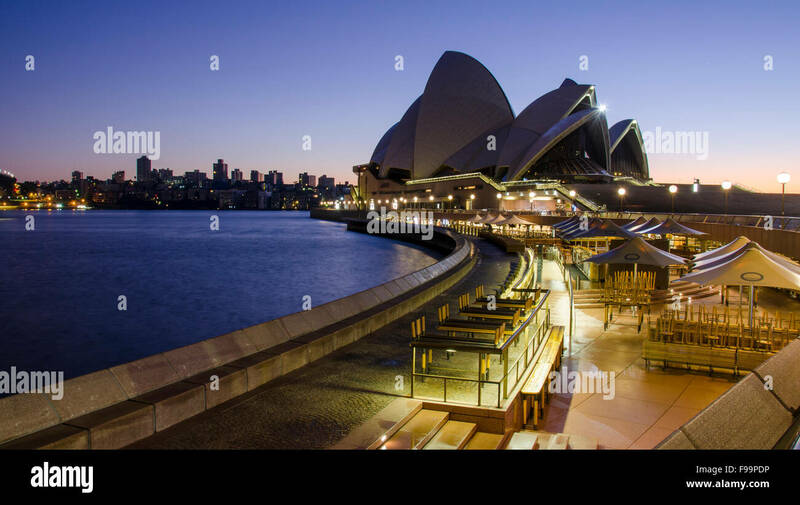 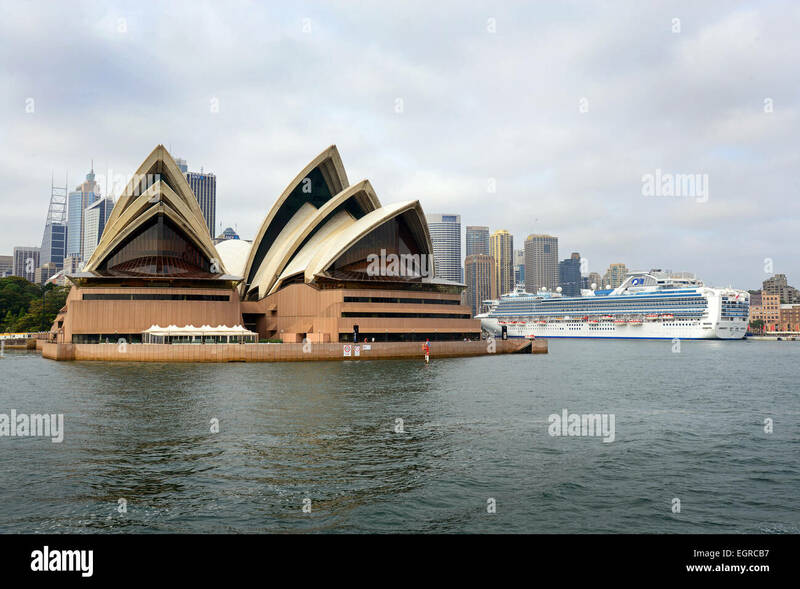 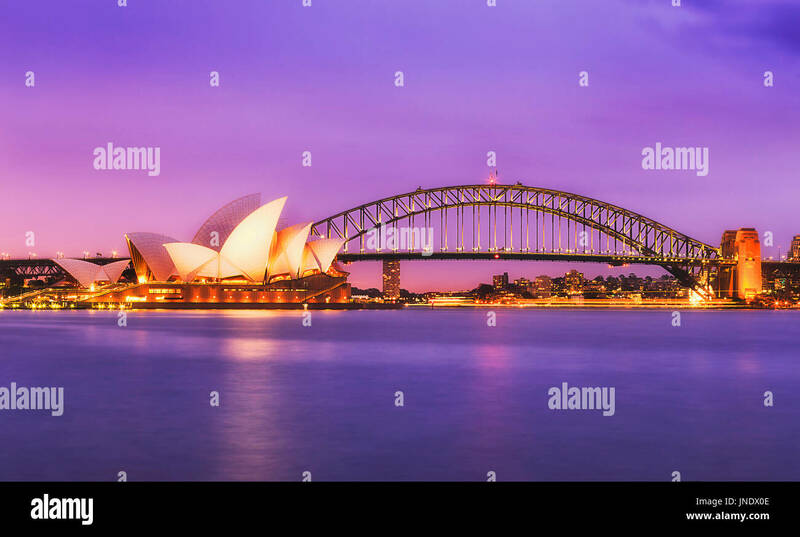 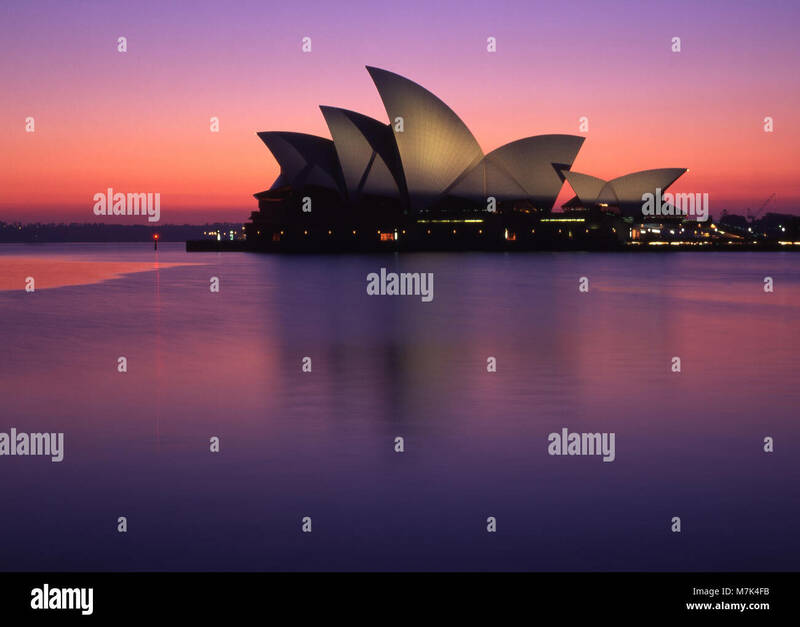 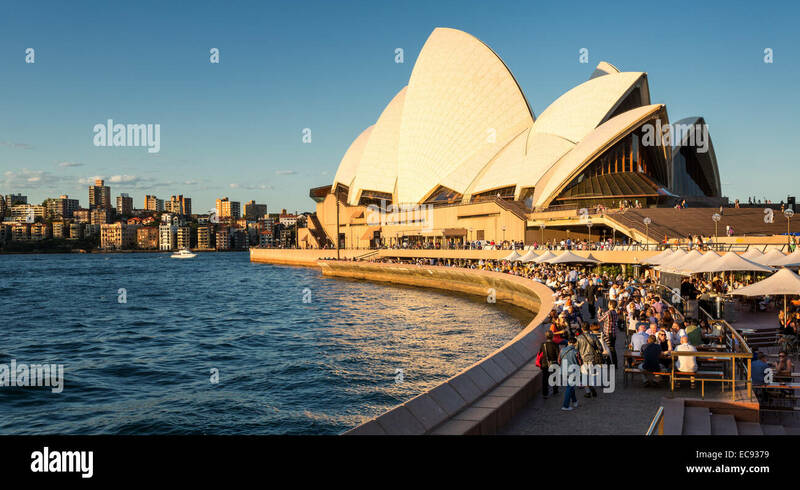 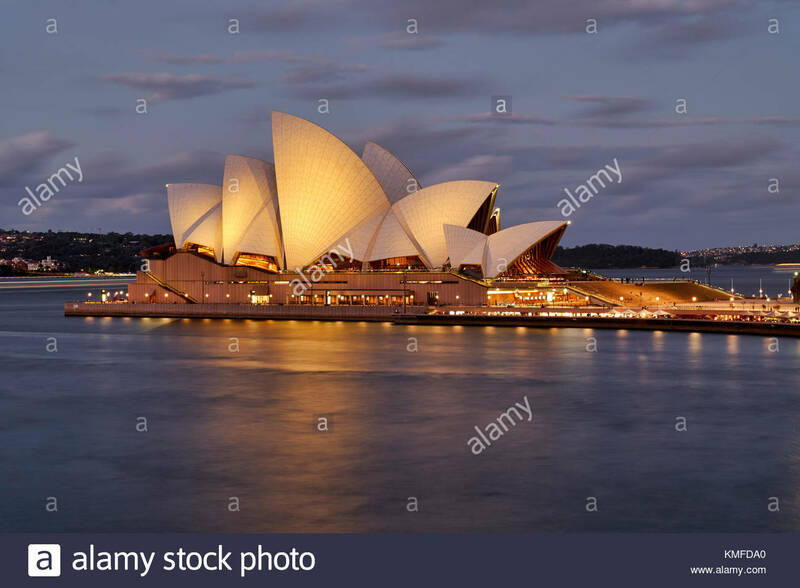 Cityscape image of Sydney and Opera House, Australia during sunrise.